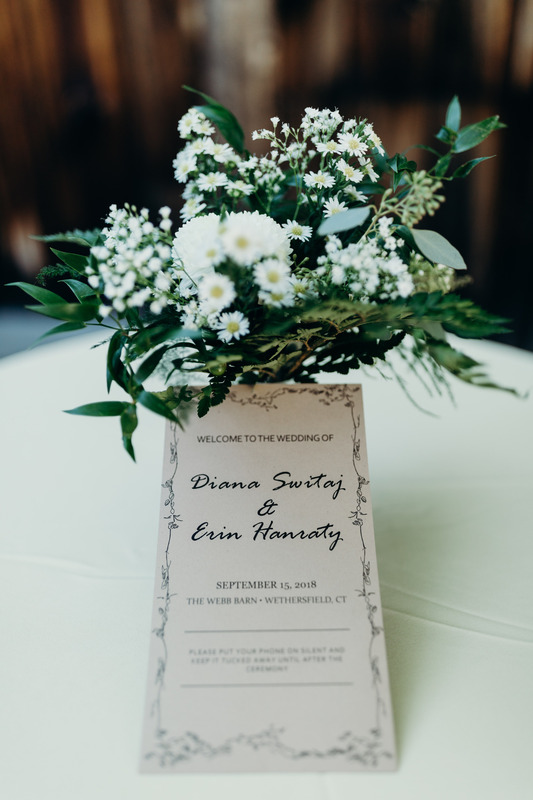 This past September 15, 2018, we had the pleasure of working with Erin & Diana, a truly beautiful couple inside and out. 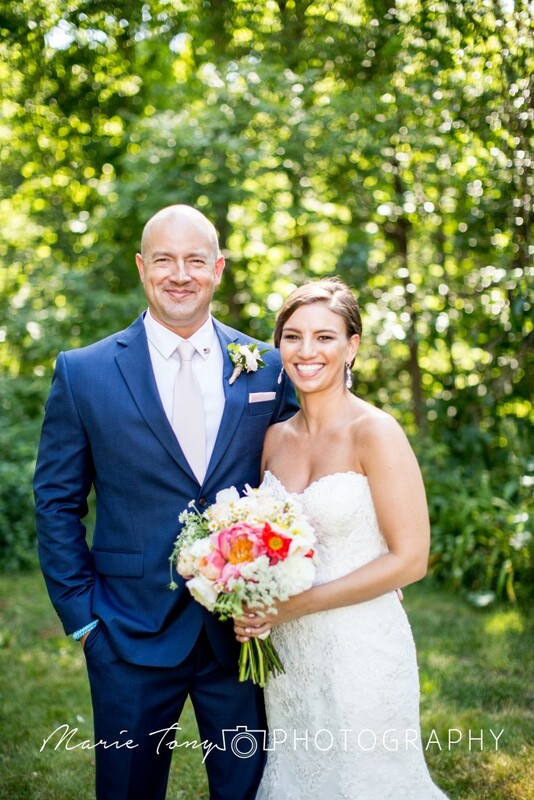 We met them at a bridal show at the beginning of last year and they were looking for a caterer for their September wedding at theThe Webb Barn. Of course, Spice Catering Group was happy to oblige! 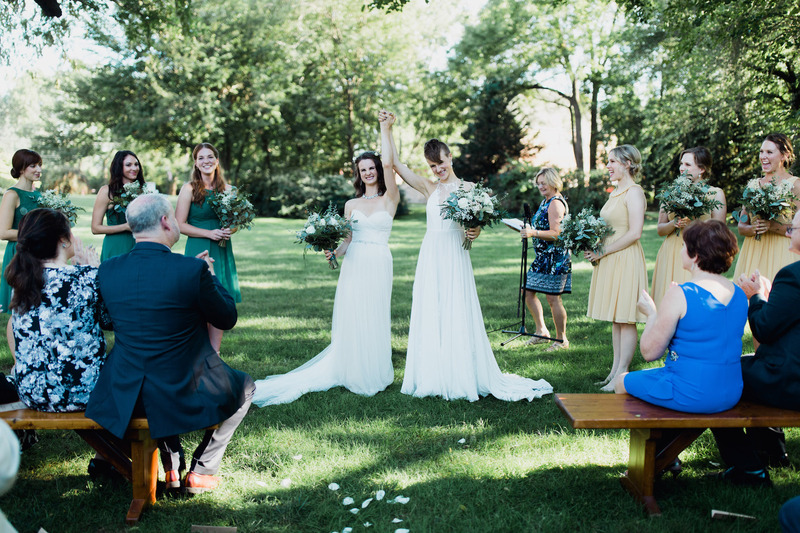 After their first look, Erin & Diana had the most beautiful ceremony under the large tree behind the barn. 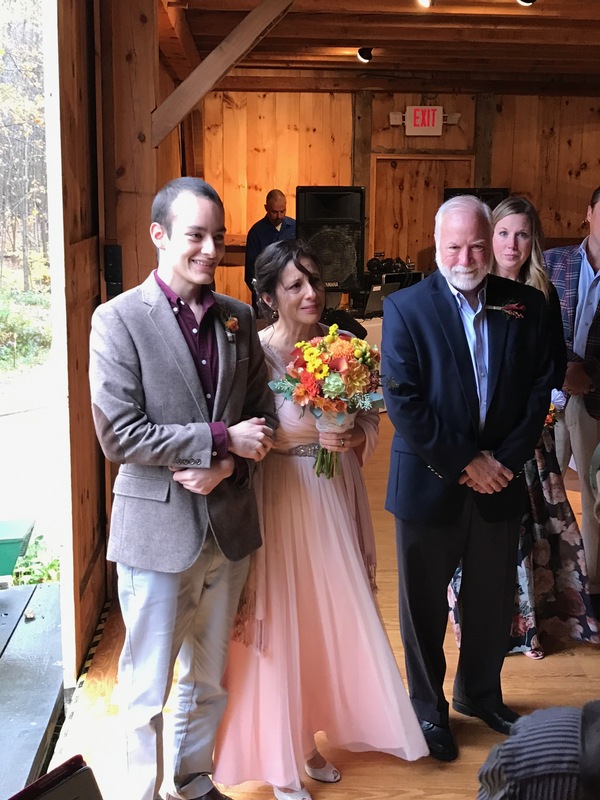 Two very special and meaningful things that they did were 1) they each had their fathers walk them down the aisle we created and 2) they had a mixed gender bridal party. 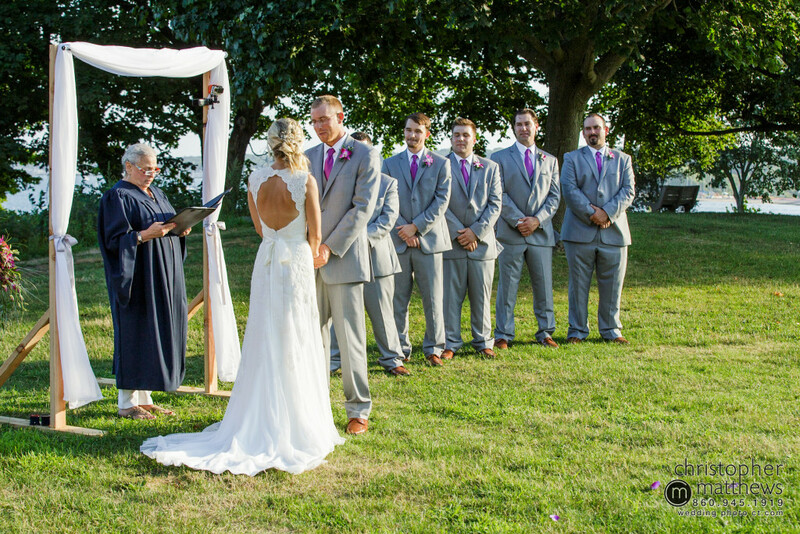 Not to mention how incredibly sentimental their vows to each other were! 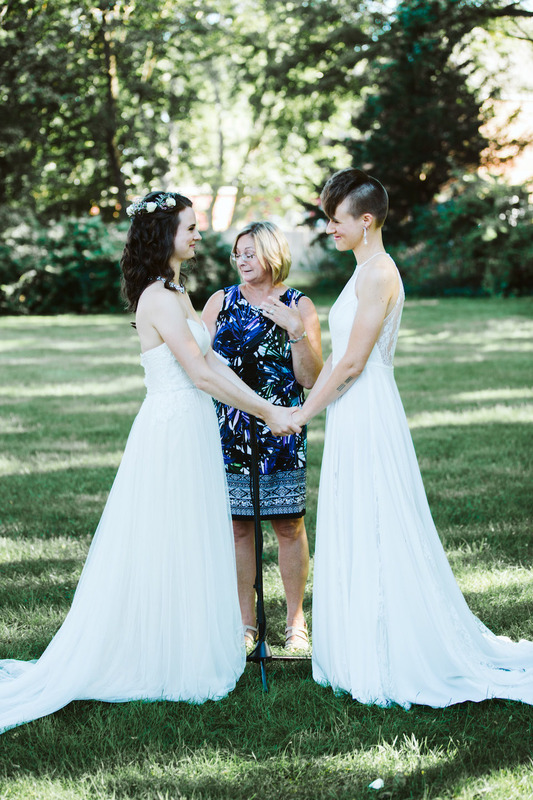 Judith Thompson did an amazing job officiating their ceremony. After the ceremony, we put out a delicious spread of food and cocktails. 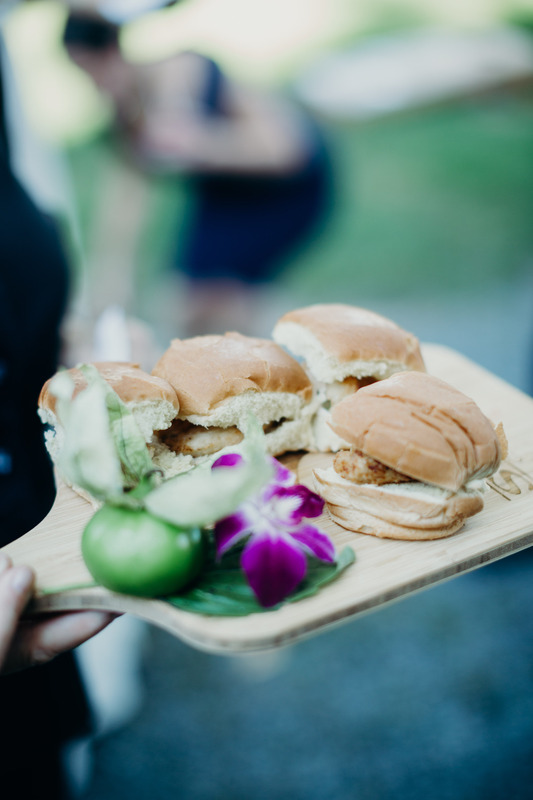 Everyone absolutely loved the mini passed sliders! 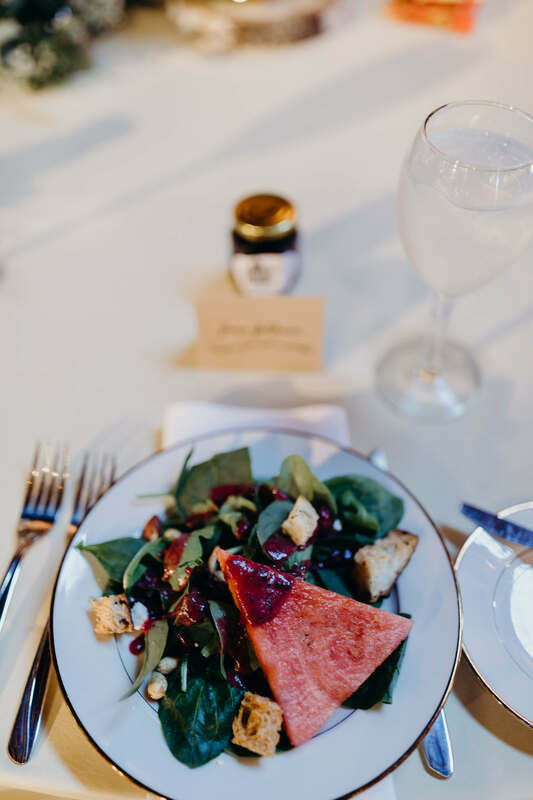 We served a delicious plated dinner, after some heartfelt, yet witty toasts by the Fathers of the Brides and Maids of Honor. 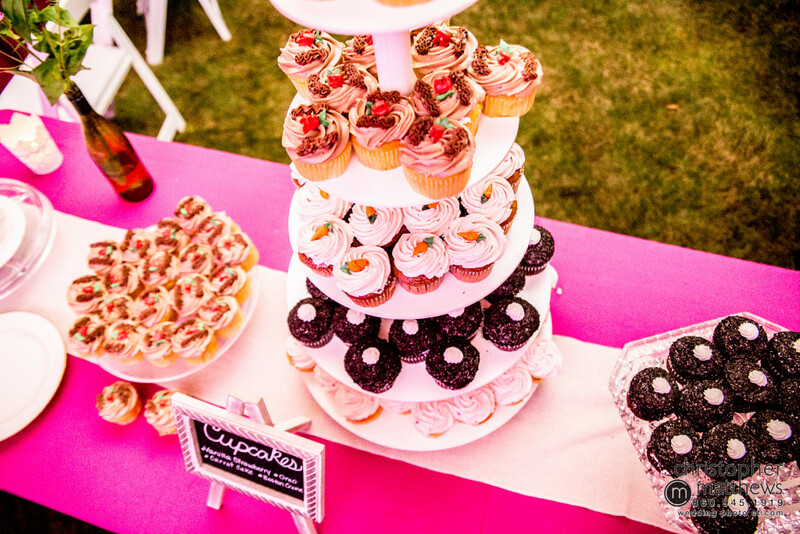 Followed by a fabulous cupcake tower from J. Cakes! 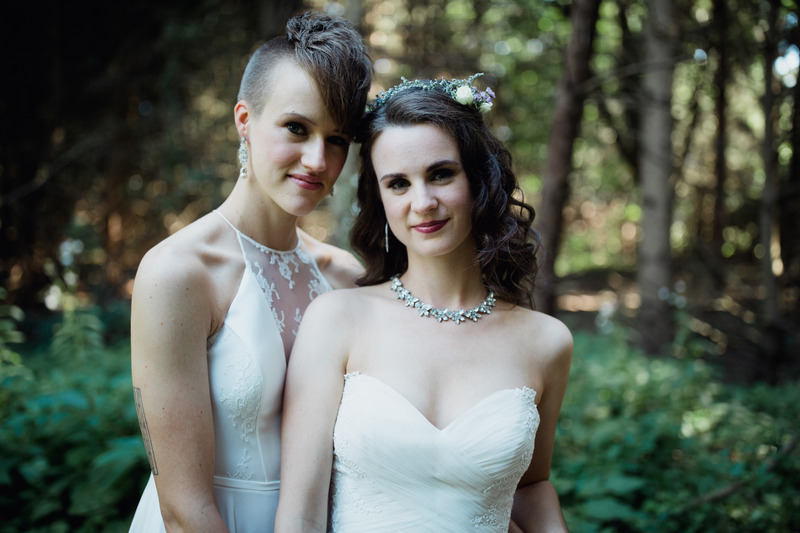 This was truly a wonderful wedding, and I wish Erin and Diana nothing but the best always! 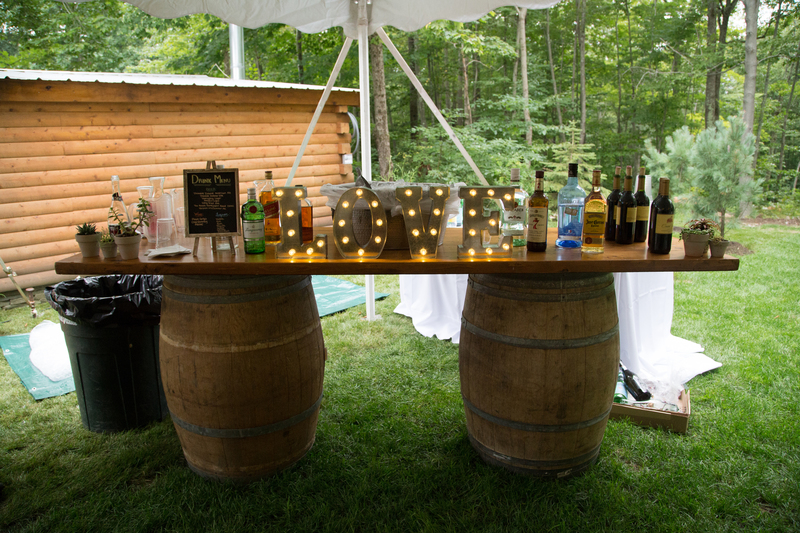 There’s a lot of decisions to make for your wedding. I mean, A LOT! 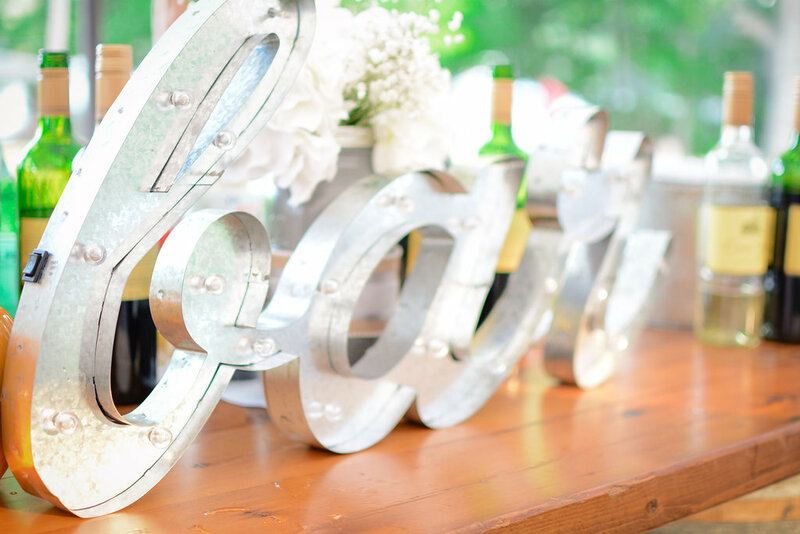 Deciding on the style of your wedding menu is one that should be fun, though! Do you want stations? Plated? Cocktails and hors d’oeuvres? Here’s some helpful info that can help guide your decision. Stations are the new buffet. When people think “buffet”, they think that long cafeteria line of people waiting with plates to get their food. That’s great for a college campus, but not so much for a wedding. The solution? Stations! The fun thing about stations is that each one can be it’s own theme. Asian? Mediterranean? BBQ? Mexican? Southern? The list is endless. Plated dinners have been around forever. They’re more traditional and more formal than stations. Some people opt to do heavy hors d’oeuvres and cocktails for their wedding. This could be fun, but you have to plan it the right way. 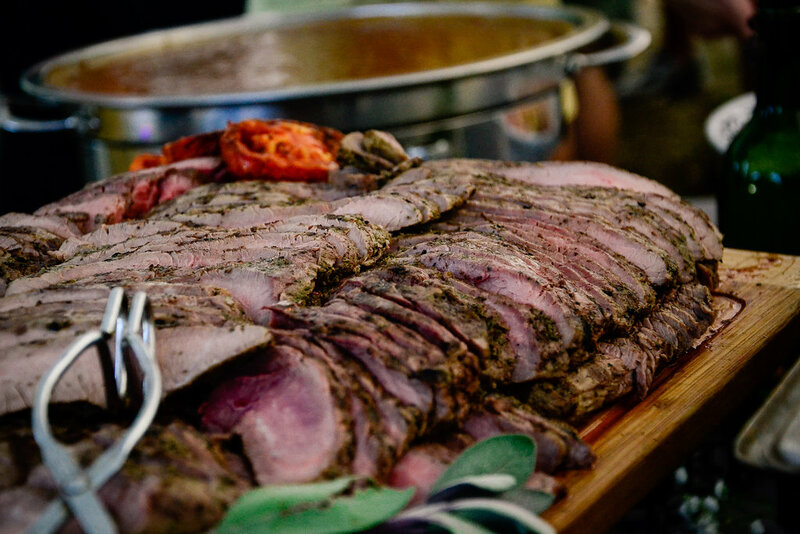 If your wedding is at 6:00 PM on a Saturday night, you better believe your guests are going to want to eat dinner. They’re hungry, as they should be at dinner time. 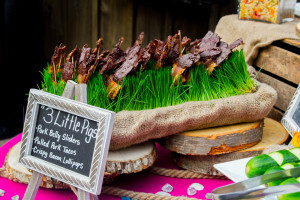 An hors d’oeuvres reception is perfect for a Sunday afternoon wedding, when it might be too late for lunch, but too early for dinner, and guests are going home early enough that they could still eat again at home. Family style is when all the food is placed on each guest table and your guests pass it around as if they were eating at their dinner table at home. It’s a much more casual feel than any of the others. 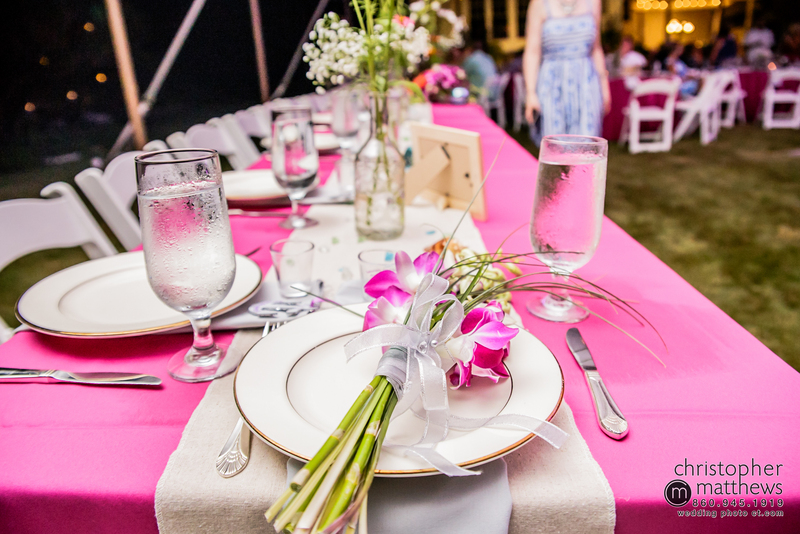 – More rentals = more costs (every guest table has to have platters, serving utensils, etc. 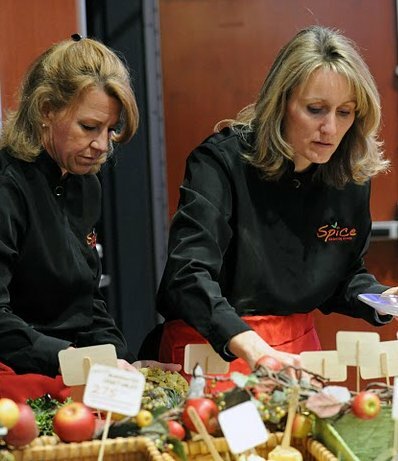 No matter which style you choose, Spice Catering Group will be there to help you every step of the way! 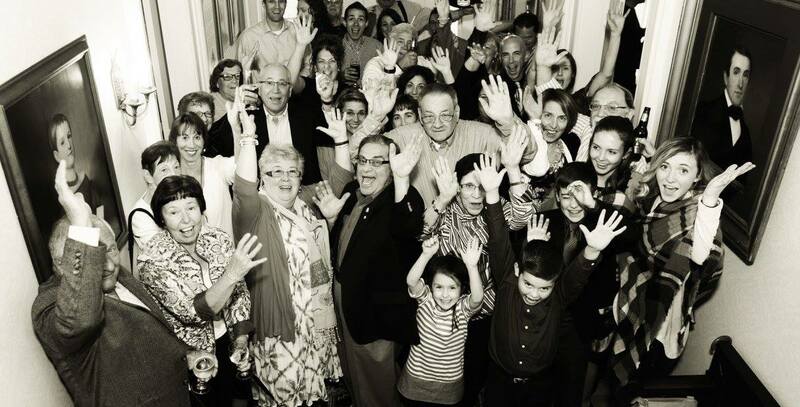 We are honored and humbled to be one of the preferred caterers at 19Main in New Milford, CT! We had a wonderful time at the wedding we catered there last month, and look forward to a long relationship with many more successful events here! 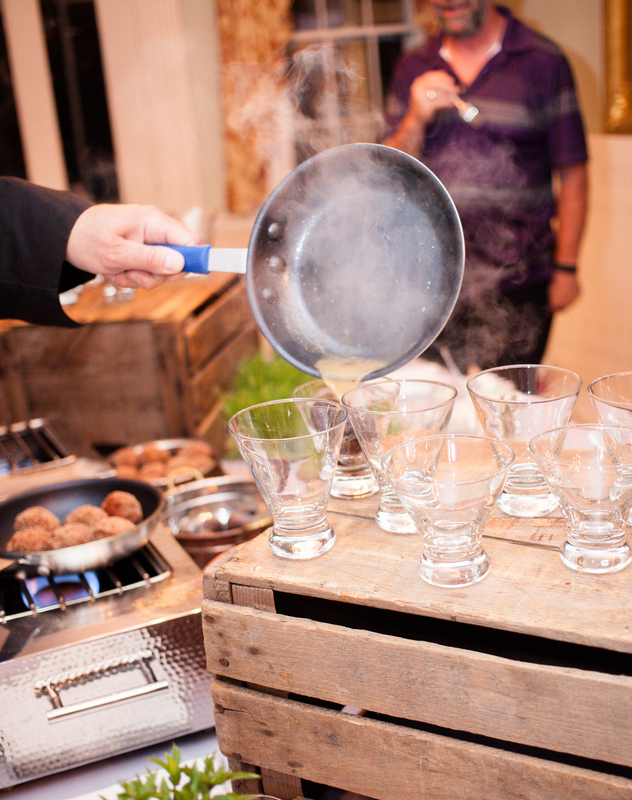 When you book 19Main and Spice Catering Group together, you will receive a complimentary champagne toast! 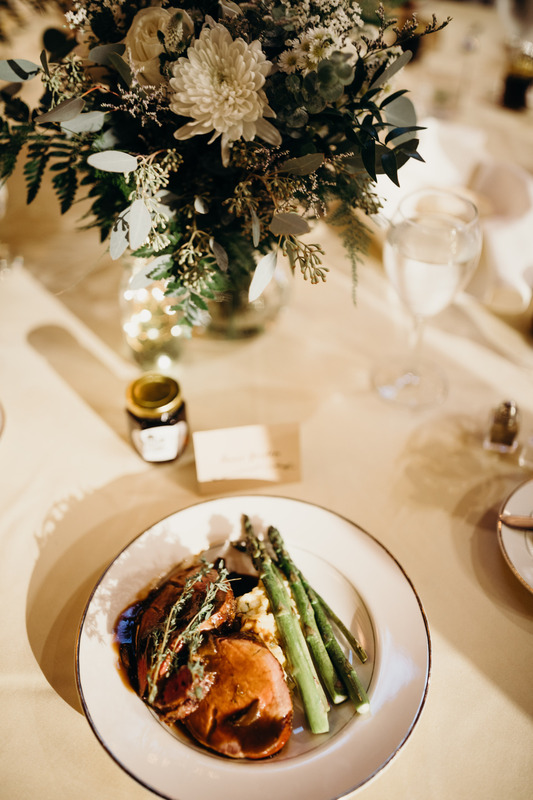 We customize all of our wedding menus, so that tends to throw couples off when we say, “We can make whatever you want”. It seems like such an overwhelming task to build a wedding menu from scratch as opposed to having options handed to you. But don’t you want your wedding to be a reflection of you and your fiancé? Shouldn’t the food appeal to you and your likes? Although it sounds like a daunting task to build your menu from the ground up, here are 5 tips to help you through it. 1. Decide on your style. Is it a backyard BBQ that you are going for, or an elegant plated dinner? Looking for something a bit more eclectic? We can do that too! Buffet not your thing? Let’s create an action station. It just depends on your style and the vibe you are going for. 2. 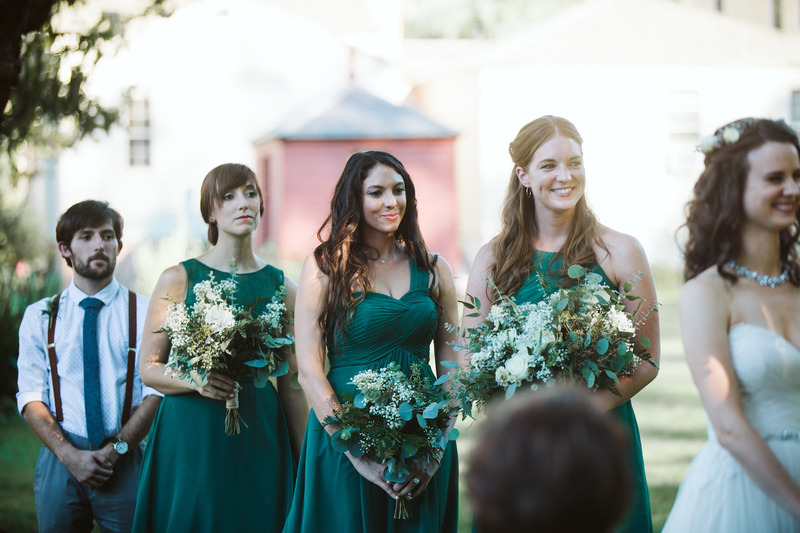 Determine the formality of the wedding. Are passed hors d’oeuvres a must have? I’d say that’s more of a formal quality. If you’re having a black tie affair, passed hors d’oeuvres are a must. 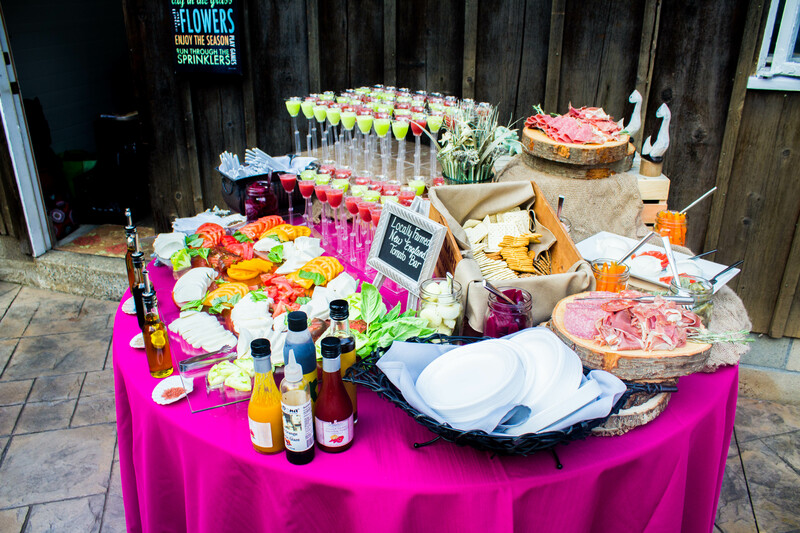 Stationed hors d’oeuvres make it a bit more casual and allows your guests to get up and mingle. Consider a fun action station if you are going for a more laid back feel. 3. Create a budget. Think about what it costs you to go out to a nice meal with your fiancé. You order an appetizer, a few drinks, an entree and dessert. What is your bill at the end of the night? $100? $150? Don’t forget to add gratuity! This is just a night out. 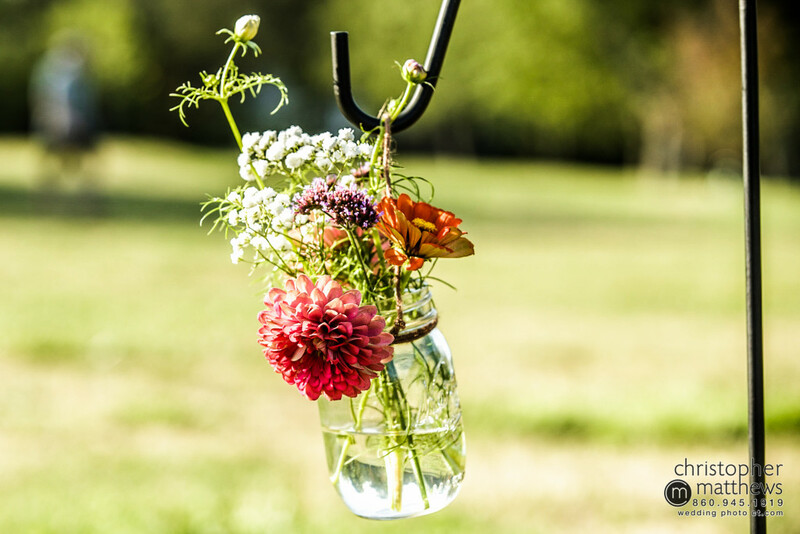 Now think about what your budget should be for your WEDDING. I’m not saying it should cost as much as a down payment on a house, but consider the cost to treat all of your guests to a nice dinner, and set the budget accordingly. 4. Consider the season. The weather in New England is so finicky, but you can rest assured that it is going to be HOT in July and August. Consider lighter fare during the warm summer months. Guests don’t want to be eating anything too heavy, especially if they are outside. A summer gazpacho could be a nice refreshing treat. On the other hand, winters are know to linger in Connecticut. People want warm comfort foods during those months. Hot homemade dishes that evoke comfort are the way to go. 5. Make sure you have plenty of food to cater to the masses. 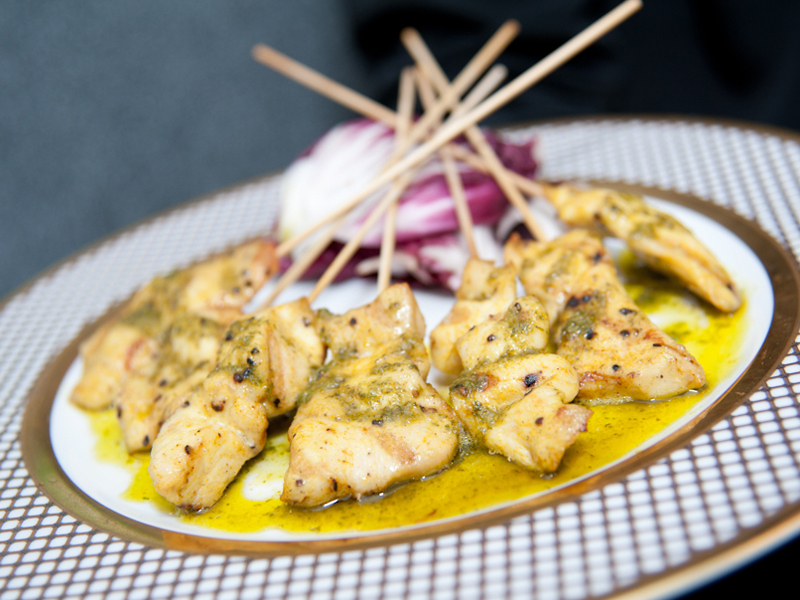 Chicken, beef, fish and veggies are just some of the popular categories, but make it fun! 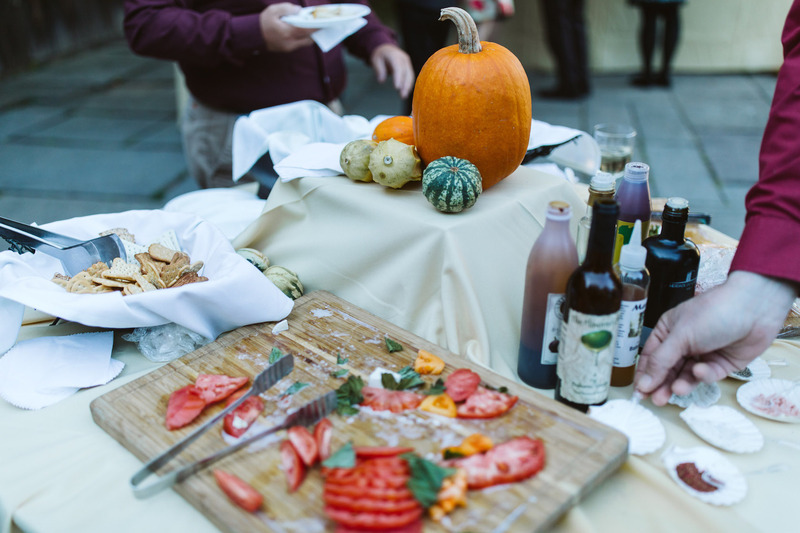 Your caterer doesn’t want to make the same things over and over. 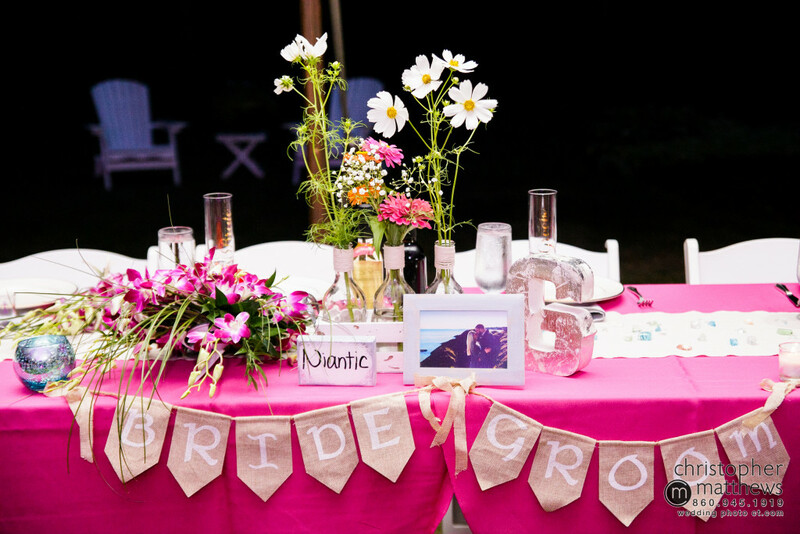 Allow them to be creative and design a menu that is exactly what you envision on your wedding day. 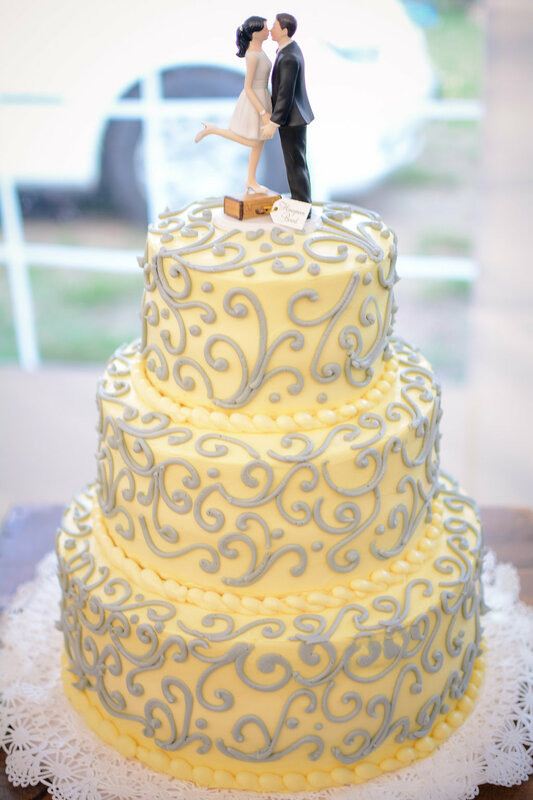 Wedding cakes have always been a necessary part of the reception. I mean, come on, who doesn’t like cake or desserts or sweets in general? But the times are changing and white tiered wedding cakes are played out. 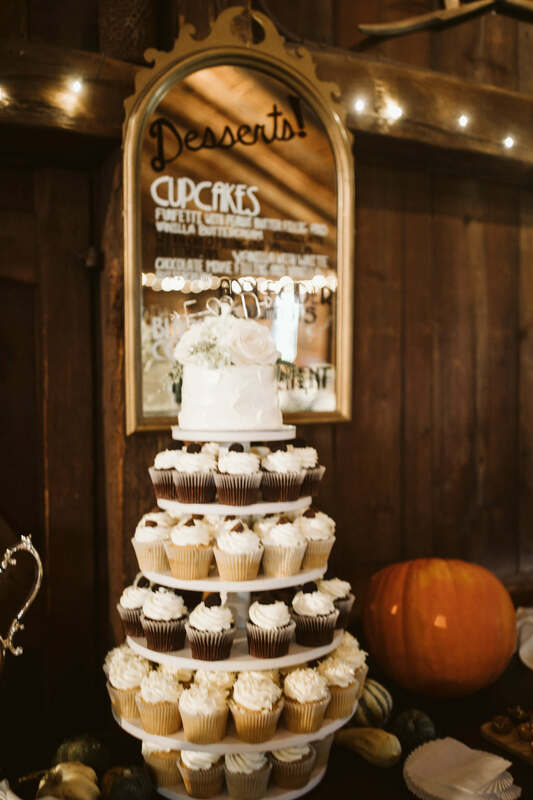 If you’re like me, and have a sweet tooth, a wedding wouldn’t be complete without dessert. So, we’re complied 5 of our favorite wedding cake alternatives: from ice cream sundae bars to mini pies, there’s a little something to please taste buds of all sizes. 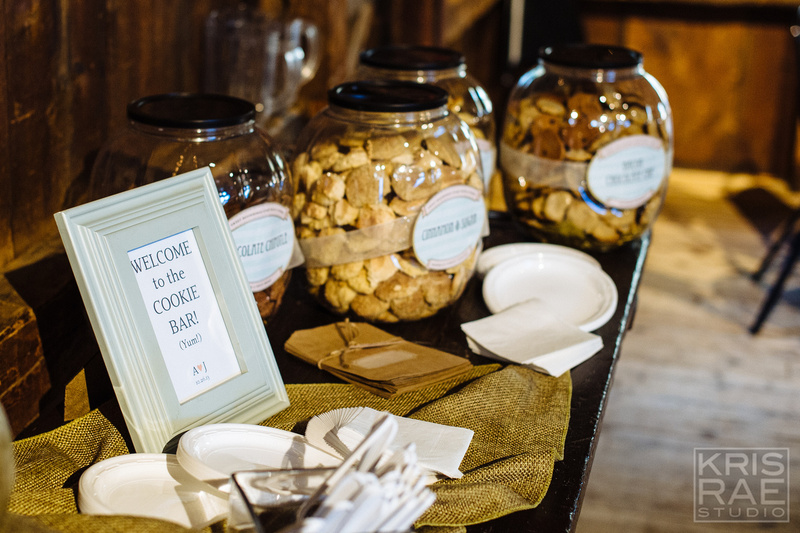 Options for wedding cookies are endless from cute and sugary to hearty and traditional. The opportunities are endless in terms of flavors, colors, styles and shapes. Place small bags near the table and to double as a cake alternative and wedding gifts for guests. Reminiscent of childhood times and younger years, ice cream sundae bars allow your guests to top and create the treat of their choice. This option is usually a kid-friendly favorite that is also adult approved. The more toppings and additions, no two guests will have the same treat. A great alternative to cake pops and mini cakes. 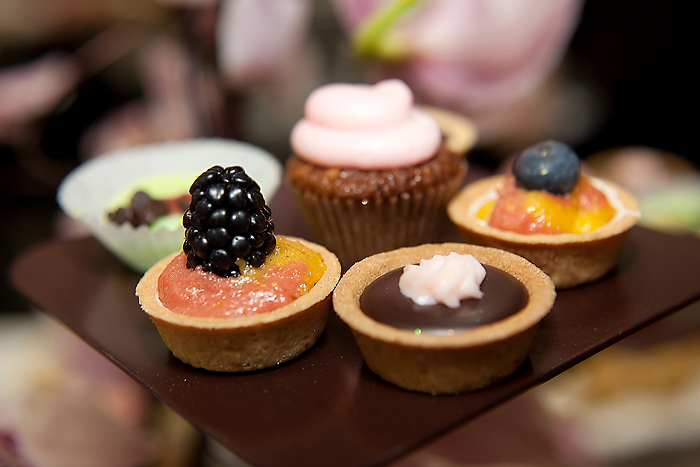 These little pies can be customized or a mix of different flavors to accommodate all guests. 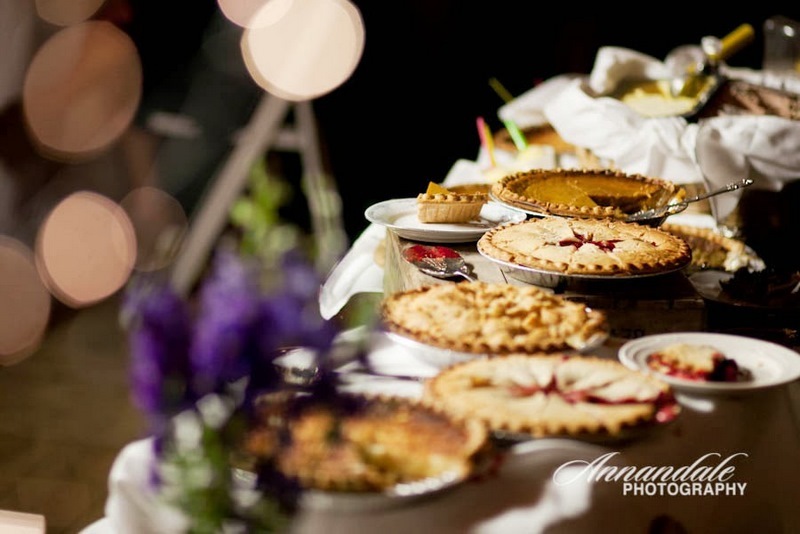 Popular wedding pie flavors include apple pie, sweet pecan pie, and berry wedding pies. These treats take a new spin on a traditional dessert. If you’re looking for something a bit more formal, or lack the space for an elaborate dessert station, we can make passed desserts, much like a passed cocktail hour with hors d’oeuvres. Mix and match different flavor and topping combinations to have something for everyone and cater to even the pickiest of eaters. Doughnut hole bars are a step up from a regular doughnut bar. These sweet and savory bite sized treats can be personalized with different dipping syrups and toppings. These treats also pair well with coffee service after dinner. Almost anything can be created into a wedding cake alternative, the limit is your imagination and the availability of a good caterer. 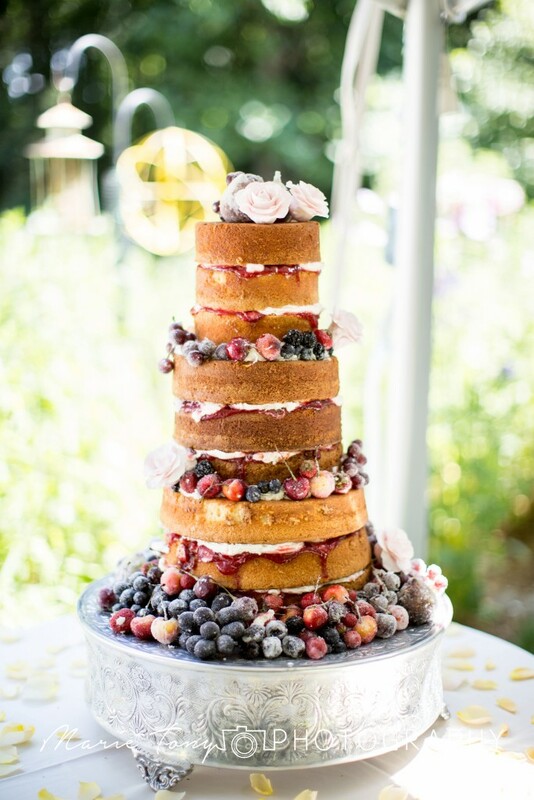 Needless to say, these 5 wedding cake alternatives will be enjoyed by guests of all sizes and ages, even the most of picky eaters. 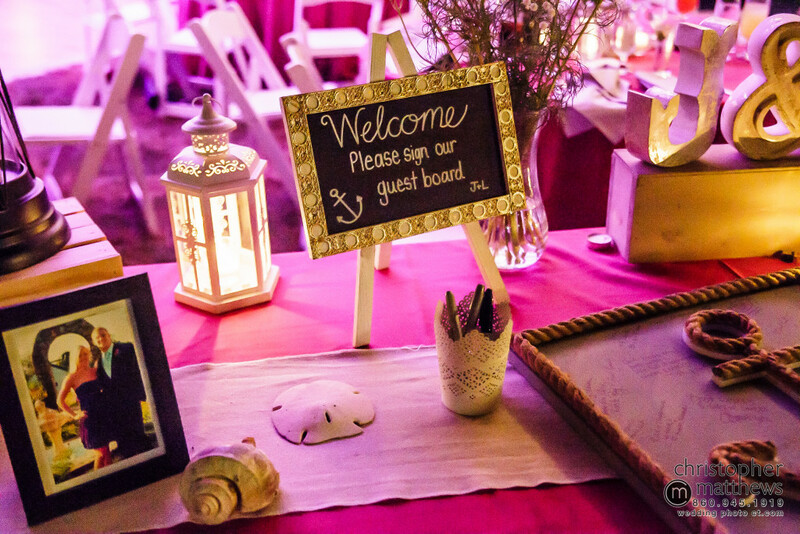 Do You Know Which Questions to Ask Your Caterer? Do you know the right questions to ask when interviewing caterers? We do! And not only did we provide you with a list of questions, but also OUR answers. Keep reading to find out more about us. How many weddings do you do per year, and how long have you been in business? Spice Catering has been in business for 8 years now. 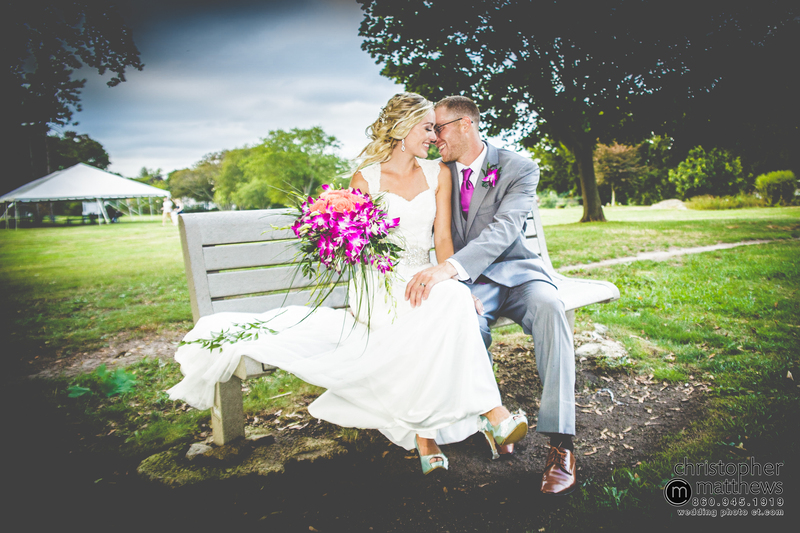 With each passing year, we cater more and more weddings. 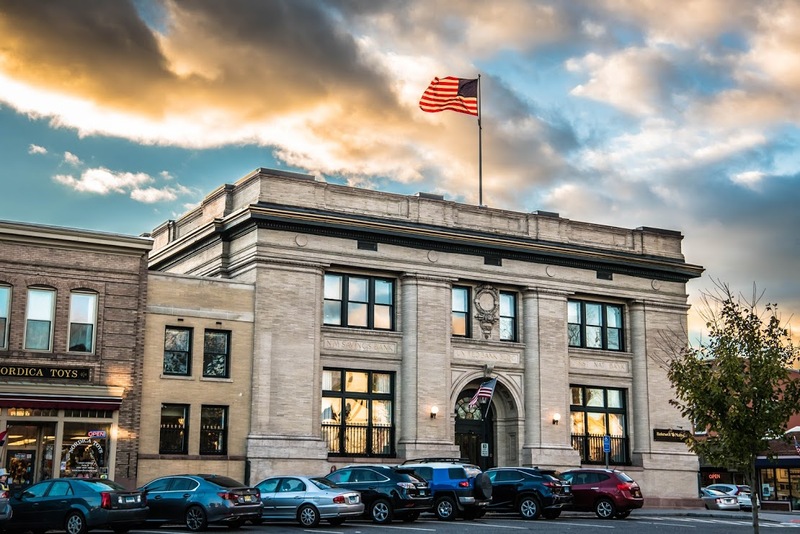 Are you licensed by the state of Connecticut? Are you licensed to serve alcohol? Yes and yes. We have a full liquor license and can bring the bar to any event! 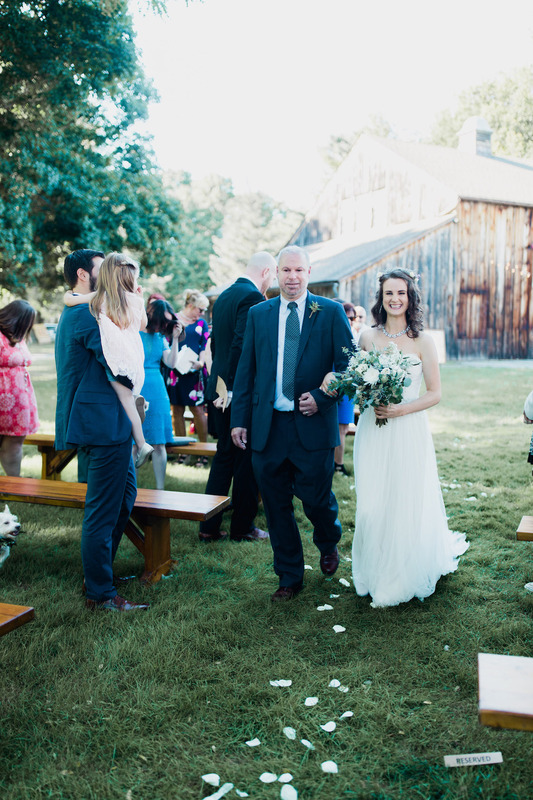 Yes, all of our weddings and events include an on-site coordinator to make sure that your day is flawless. Can you assist with other aspects of the wedding like selecting other vendors, event design (e.g. 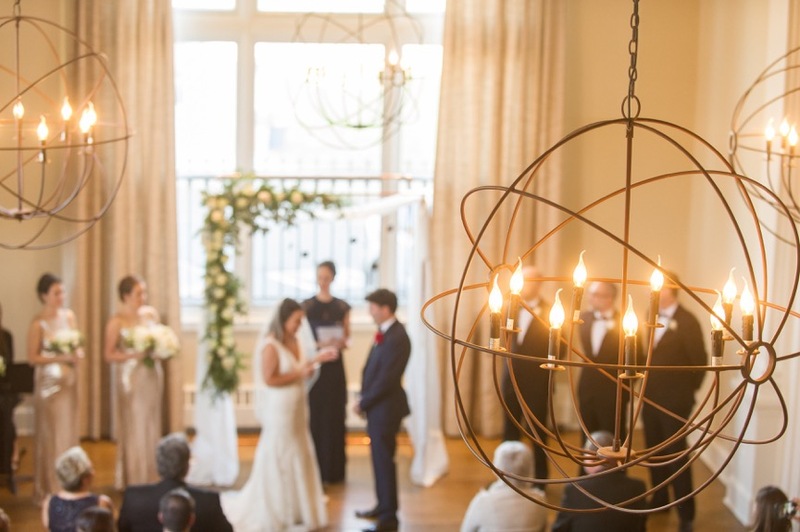 specialty lighting, elaborate décor, theme events, etc.)? Absolutely. Our wedding planner can assist in any aspect of your wedding planning. 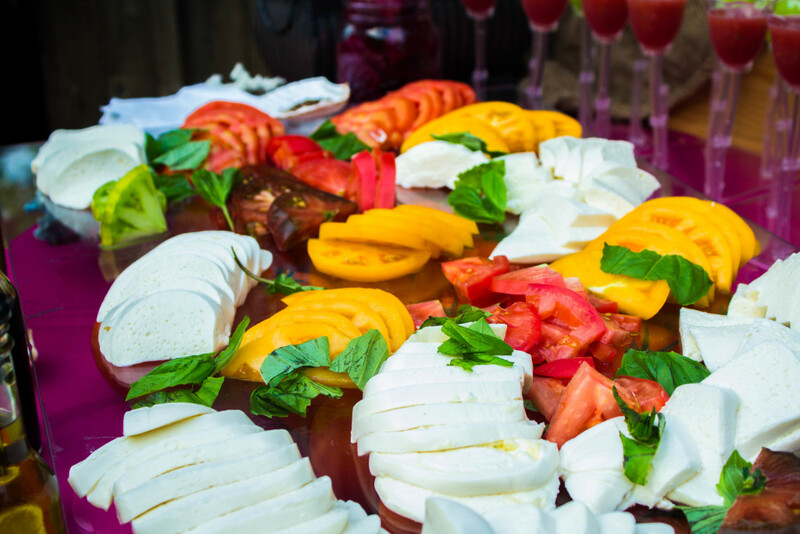 Our chef has experience in a wide variety of cuisines and we can customize a menu just for your event. We have a few basic menus that you can choose from, however, this is by no means the extent of our culinary abilities. In fact, we highly recommend creating a custom menu for your event, especially a wedding. If there is a dish that is special to you, we’d love to hear about it! When creating a proposal, we lay everything out for you line by line. Some of this includes hors d’oeuvres, entrees, staff, rentals and alcohol. We create a “package” just for you. 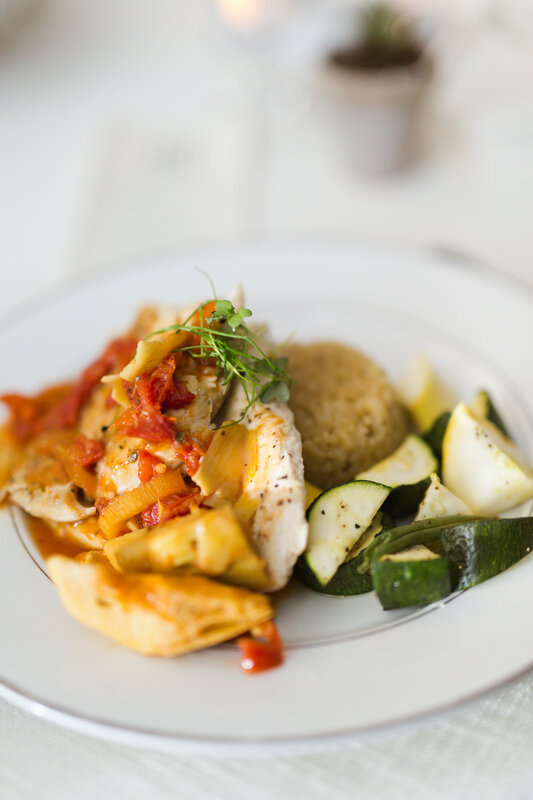 We often work with local farms to incorporate their fresh ingredients into our dishes. 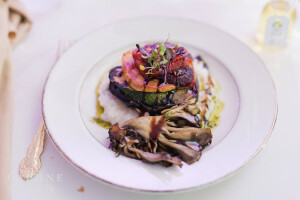 We have used mushrooms from Chatfield Hollow Farm in Killingworth, produce from Lyman Farms in Middlefield and lamb from Sepe Farm in Sandy Hook, just to name a few. Can you accommodate dietary restrictions, such as kosher, vegan, etc.? Yes, we have accommodated many dietary restrictions before, including but not limited to vegan, gluten free, and vegetarian. 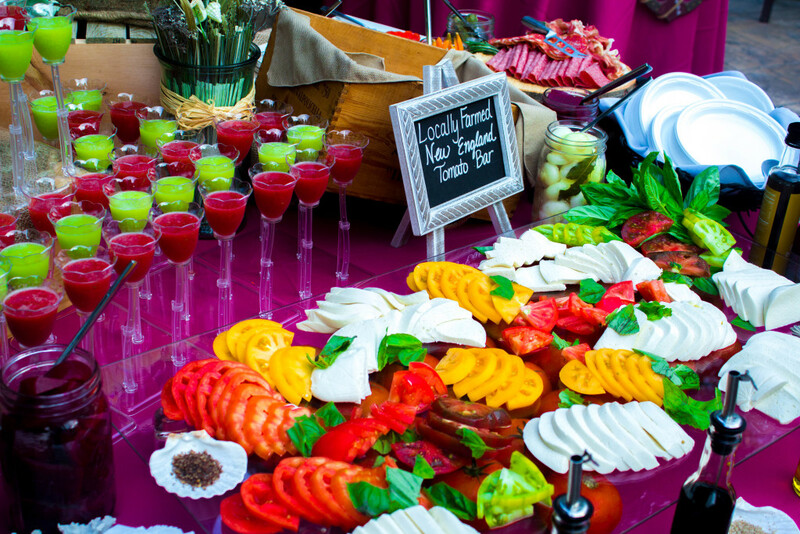 What décor do you provide for appetizer stations or buffet tables? We provide linen and overlays for the bar and buffet tables, along with decor that is suitable for your theme and event (i.e. : beach decor, candles, holiday decor, etc.). 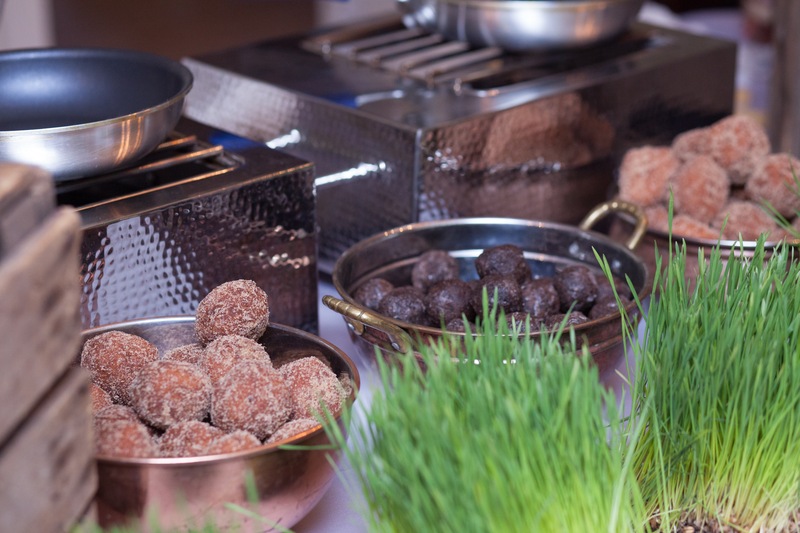 Do you offer package upgrades such as chocolate fountains, ice sculptures, espresso machines or specialty displays? Absolutely. If you can think of it, we can provide it! Or, we may even suggest other types of specialty displays or additions if we feel it goes well with your event. Can you do theme menus (e.g. barbecue, luau, etc.)? Would you also provide the décor? Yes, we can. We’ve done many themed events before and you can see some photos on our Facebook page and website www.spicecateringgroup.com. What’s the difference in cost between passed appetizers and appetizer stations? What’s the price difference between a buffet and a sit-down meal? 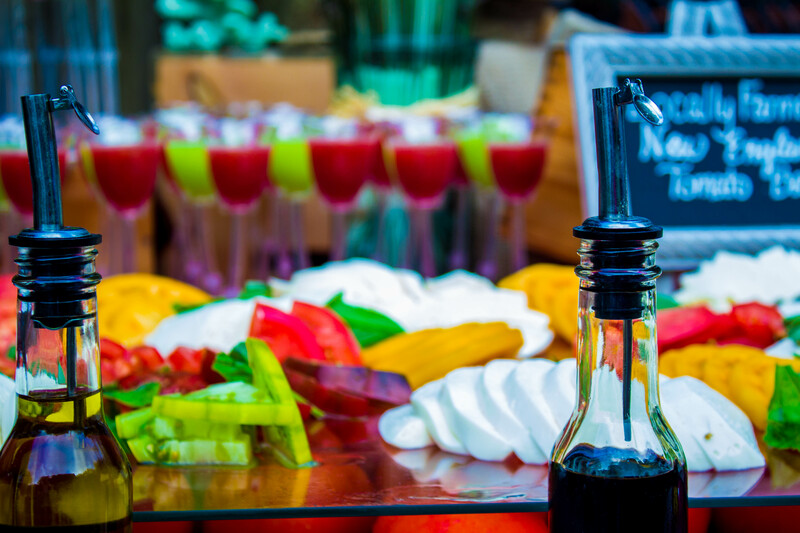 Pricing varies based on many factors, including guest count, length of event and food choices. We’d be happy to discuss this on a phone consultation or in person over a cup of coffee or glass of wine! Do you do wedding cakes? If so, is this included in the per-person meal price or is it extra? 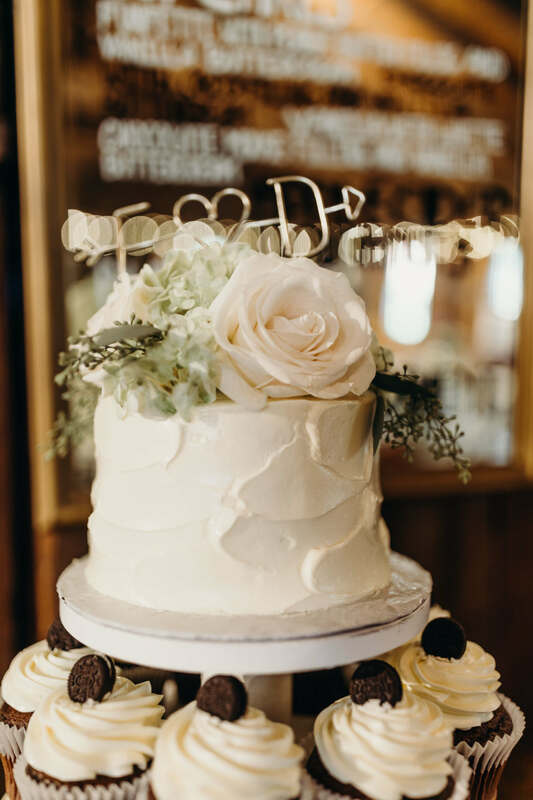 We do not make wedding cakes on-site, but we can work with one of our preferred bakeries to create the perfect one for you. Of course. We have created ice cream sundae bars, pie buffets and even passed desserts. We have even gotten more creative with a flaming fried doughnut station or other interactive dessert stations. No, our Chef is happy to cut and plate your cake. 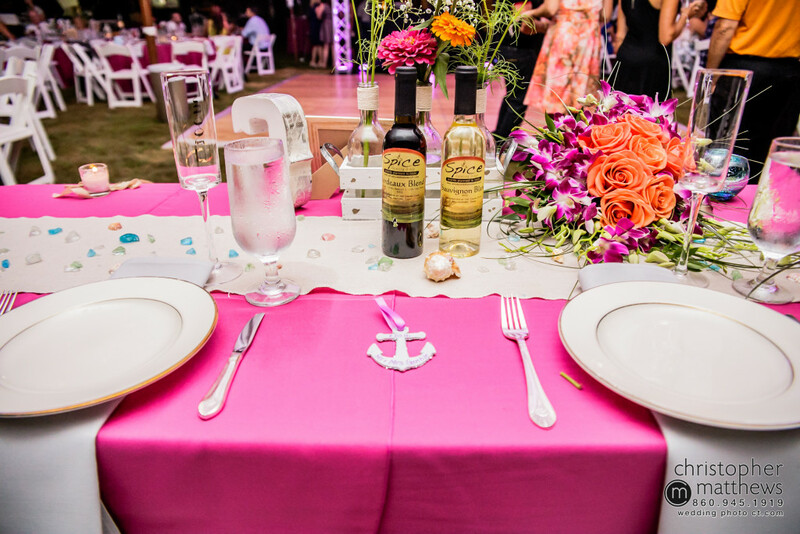 Yes, as a full service event planning company, we take the guessing out of how many tables, chairs, plates, glassware, etc. that you will need for your event and will include all of this in our proposal, as well as take care of delivery, setup and pickup. What types of linens, glassware, plates and flatware do you provide? We have a variety from which to choose. Can you provide presentation upgrades such as chair covers, lounge furniture, Chiavari chairs, etc.? What would be the additional fees? Do you provide alcoholic beverages and bartenders? Can you accommodate specialty cocktails? Yes, we have a full liquor license and will provide all alcohol, mixers, garnishes, water and other non-alcoholic beverages. We love creating speciality cocktails! We use all Premium liquors and beer, including local craft beers. How do you charge for alcoholic and non-alcoholic beverages? Per consumption or per person? We charge a per person fee for our drink packages. Non-alcoholic beverages are included in this price (which is dependent on if you choose just beer and wine or full bar, and also the length of the event). 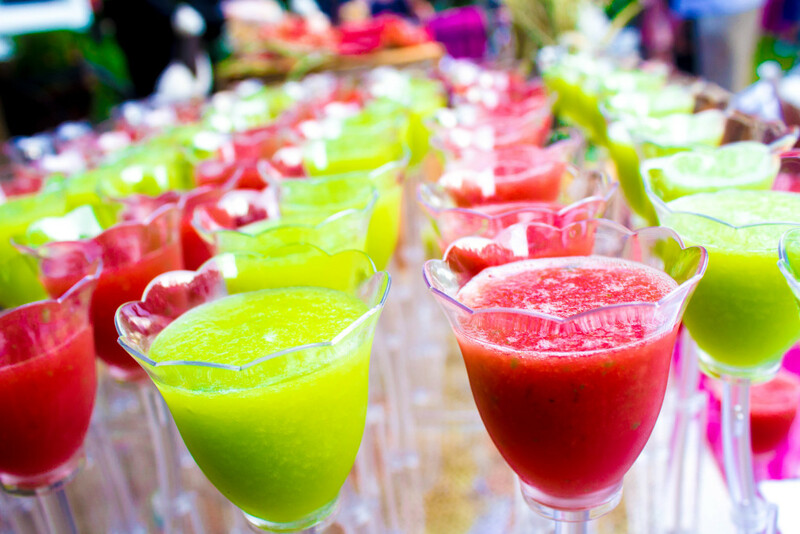 Guests under 21 years old are $5 per person for unlimited non-alcoholic beverages for the duration of the event. Is the champagne toast after the ceremony included in your meal packages or is it extra? This would be offered as an additional item. Pricing depends on champagne brand chosen. A maximum of 5 hours. Yes, we include regular and decaf coffees, as well as a variety of herbal teas. This is dependent upon the menu and style of service. For formal events such as weddings, they wear black pants, black shirts and black shoes. For more casual events, they wear khaki pants in the summer with our red Spice Catering Group shirts. How is your pricing broken down? 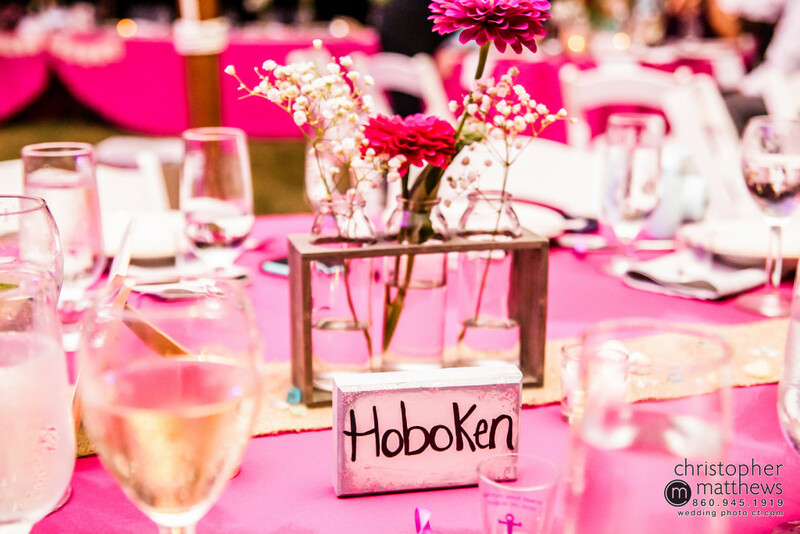 We create a per person price for hors d’oeuvres, entrees, and bar. Then there is a separate flat rate for rentals and a flat rate for staff. We do not include gratuity. 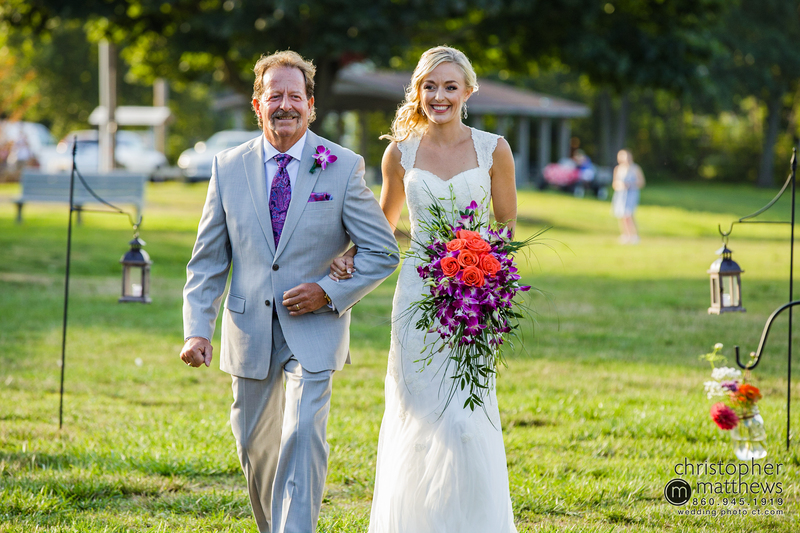 We typically arrive 2 hours prior to a wedding and less for other events. It depends on the menu and setup required. The cost is included in the staff price. We would charge our normal hourly rate per staff member. We need all final counts and meal choices, if applicable, 7 business days prior to your event. 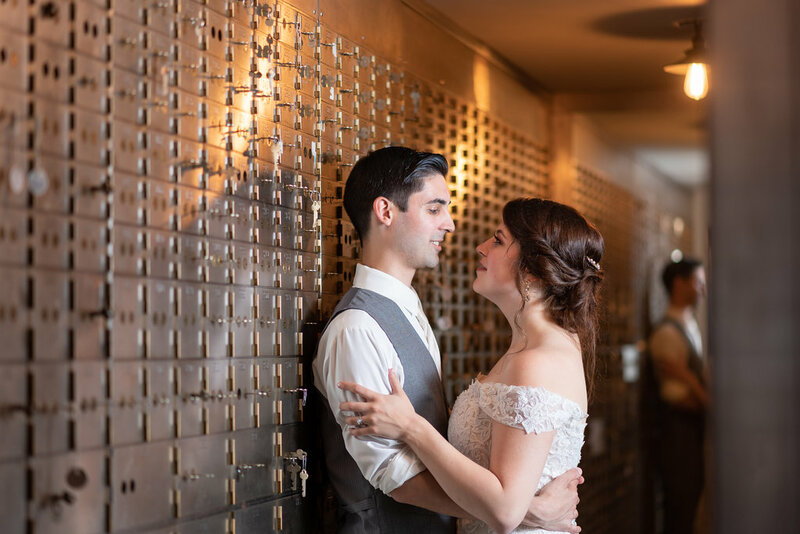 We require a deposit to secure your date. This can be paid with a credit card (Visa or MasterCard), check or cash. We require a 25-50% non-refundable deposit, depending on the amount of time between booking and the event date. Final payment is due no later than 7 business days prior to any event. We never include gratuity, however, they are welcome and appreciated. Although it is common practice by many other caterers to charge a separate service charge of up to 22%, Spice Catering Group does NOT do this. Deposits are non-refundable. 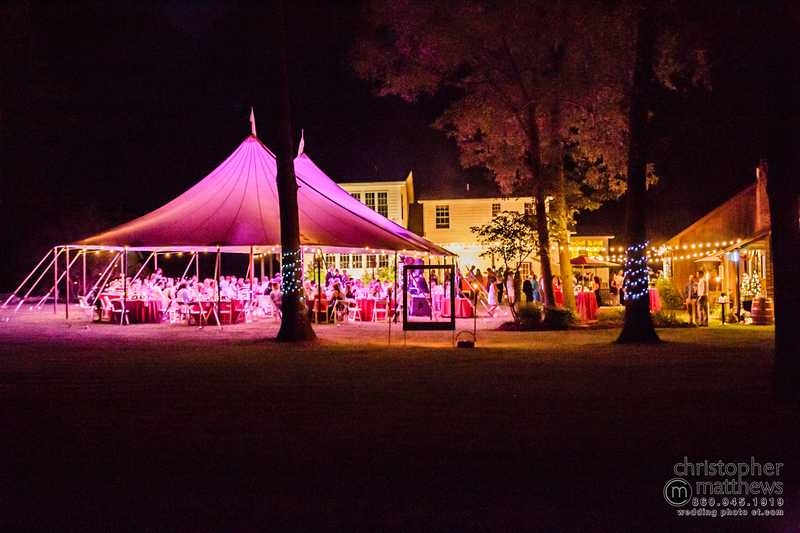 If your event date gets changed and we are available, all deposits paid to date will be applied to the new date. If the event is completely canceled, all deposits are forfeited. 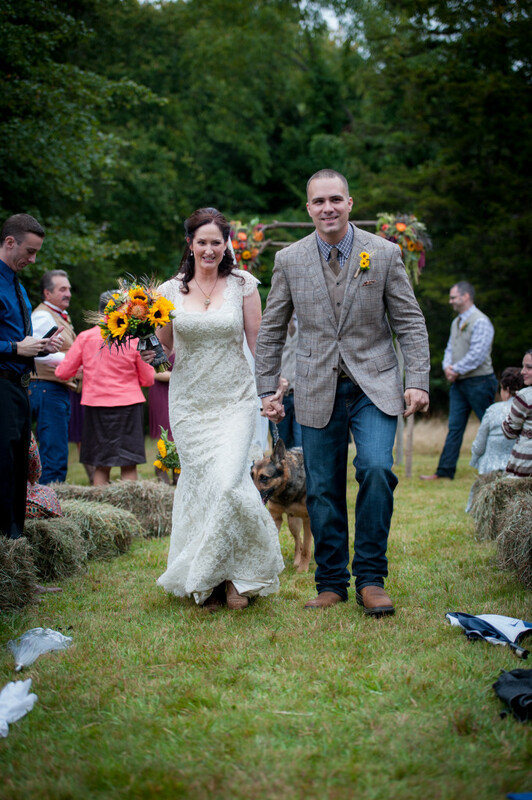 – Do you specialize in weddings? There’s a big difference between a “wedding photographer” and a “photographer who shoots weddings”. 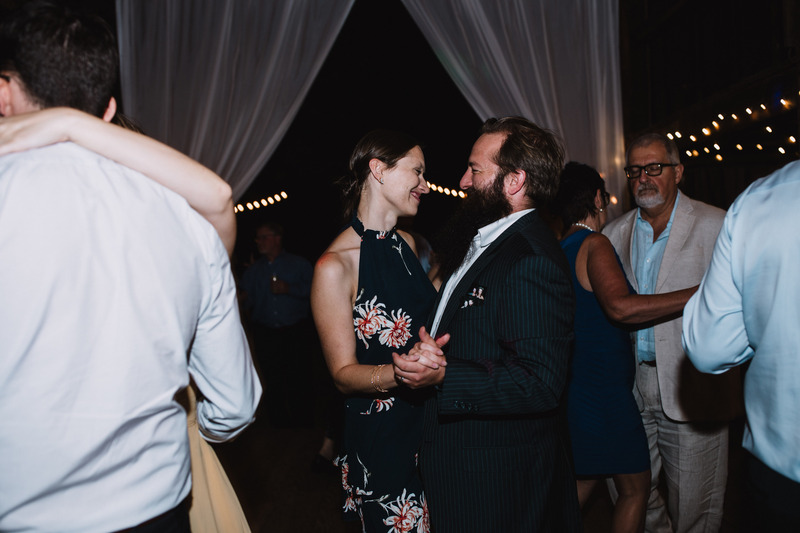 Make sure you hire someone who knows the flow of a wedding, how to handle large groups for portrait sessions, and who will be on his or her toes when it comes time for the first kiss, bouquet toss, or other moments that cannot get a “do-over”. – Do we receive an album with our package? 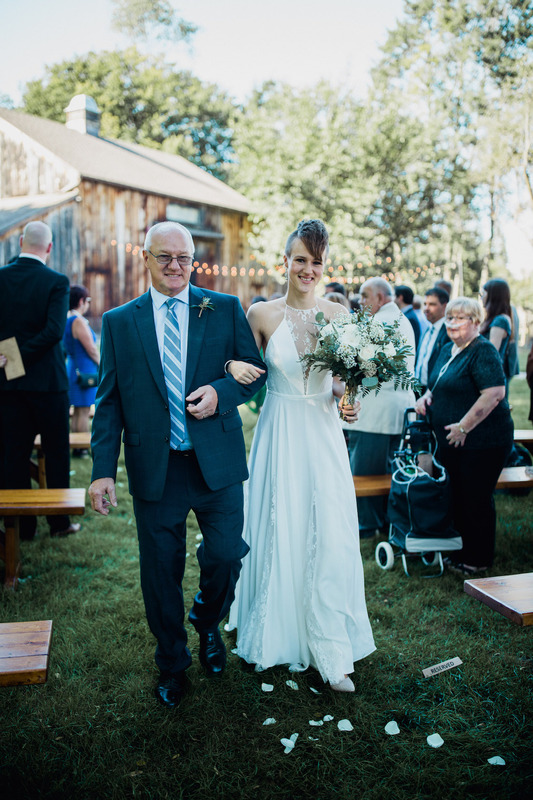 Wedding albums have come a long way since your parent’s album. With digital photography, albums can be beautifully customized, flush-mounted and personalized. If you want an album, be sure to find out if one is included in the cost you are paying. – Is there a time limit for coverage on the day of the wedding? 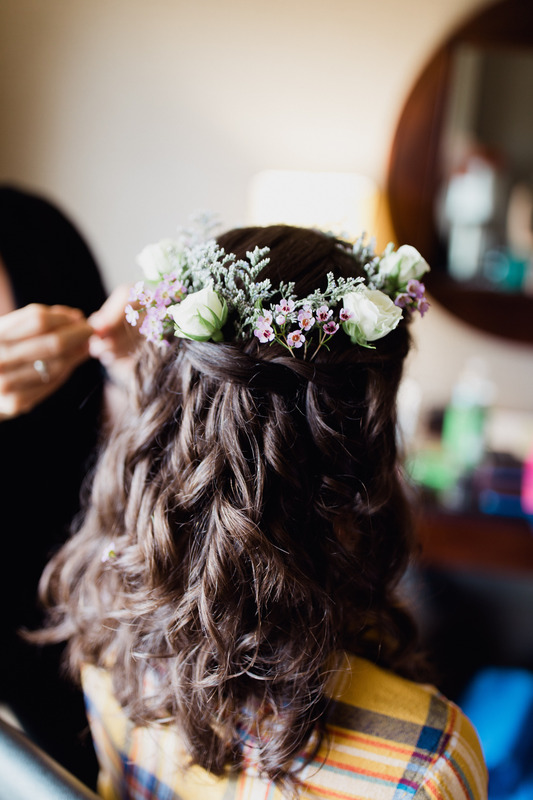 This is extremely important, especially if you want your photographer to capture those “getting ready” moments. 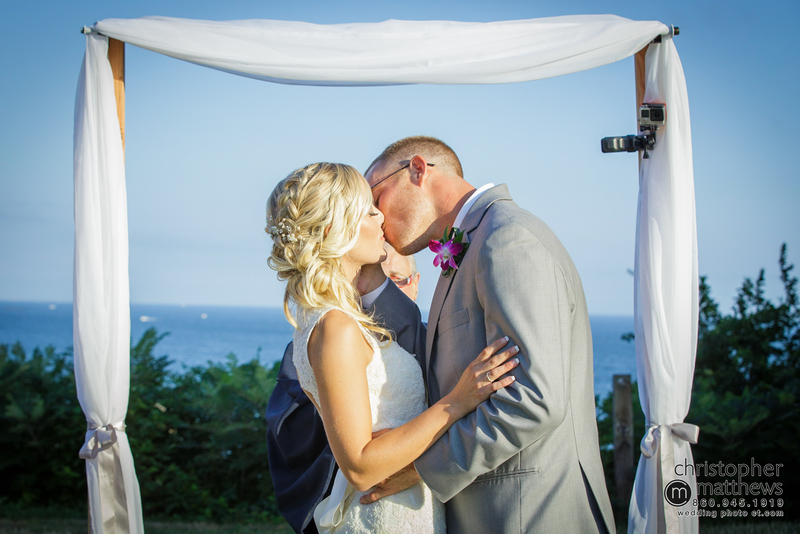 If there is a time limit, be sure to schedule the times so that special moments at the reception can be captured. Some may take place towards the end of the evening. 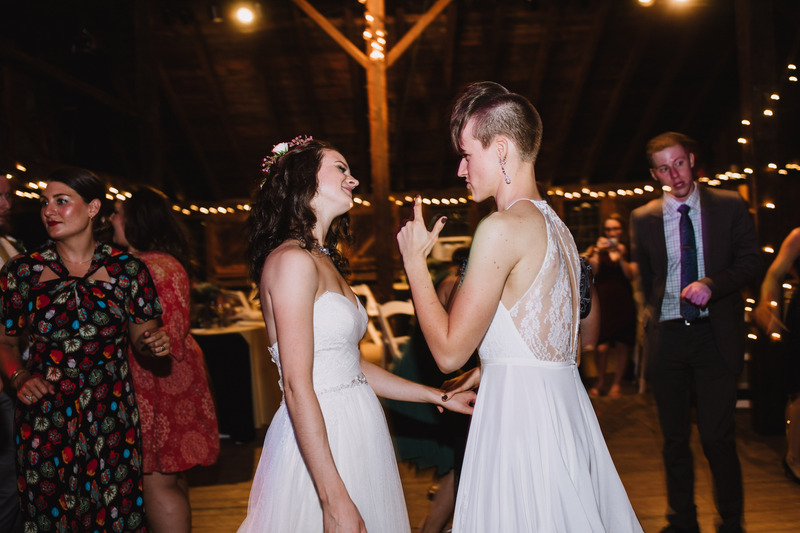 If you know your photographer is only scheduled until 9:00pm, be sure to do any special dances, cake cutting, and other significant events before then. – Do I get all of the images on a high resolution DVD with rights to them? In today’s day and age, this seems to be the norm, but there are still some photographers who do not want you to take their photos and have them printed at a discount store. Either way, make sure you understand what is offered and that it is in writing. – How many weddings have you photographed? 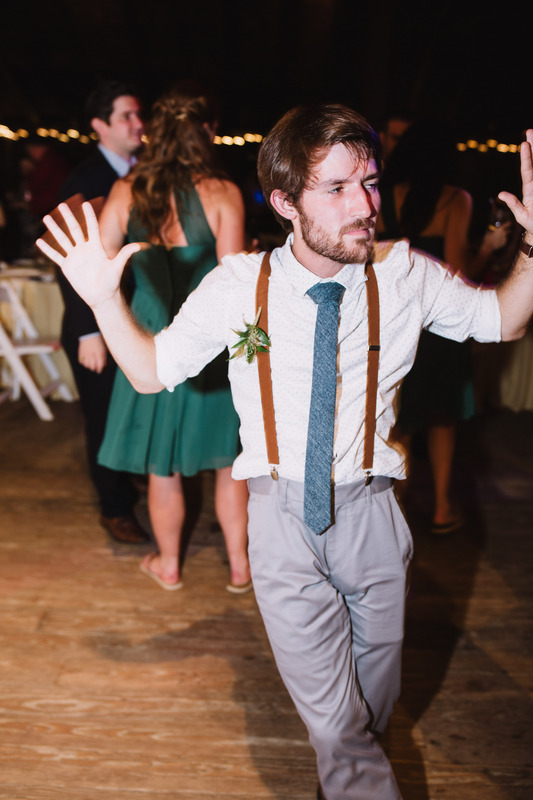 Everyone has to start somewhere, so I’m not knocking newbie wedding photographers. However, if you have very high expectations for your wedding photographer, you may want to be sure you’ve hired someone with quite a bit of experience. 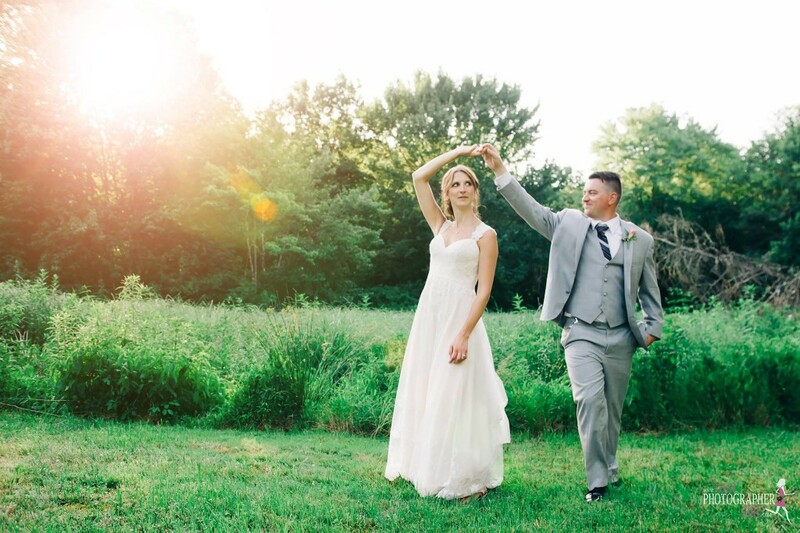 While he or she may take beautiful scenery photos, weddings are a whole different ballgame. – Do you shoot candid/photojournalistic/posed? Each style can be beautiful when done the correct way, so just make sure your style meshes with the photographers and that you are clear about what you want. – Will my photos be available for online viewing? Again, with digital photography being what it is today, this is the norm with most photographers. There is usually a password that you will be assigned and you can share the link to your gallery with family and friends. – How long after the wedding will my photos be ready? 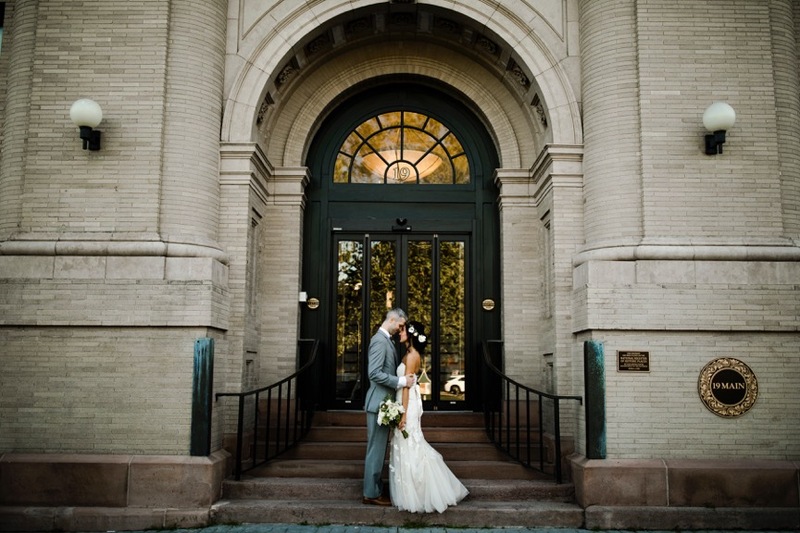 Wedding photographers work many hours beyond the big day, editing away. Be patient, as you are not their only client. However, a guaranteed timeframe is usually written in the contract. If it is getting well beyond that time, you have the right to ask, but at least get through the end of that before you start badgering them. Many will also post “sneak peeks” on Facebook and Instagram very soon after the wedding. – Will YOU be my photographer on the big day? 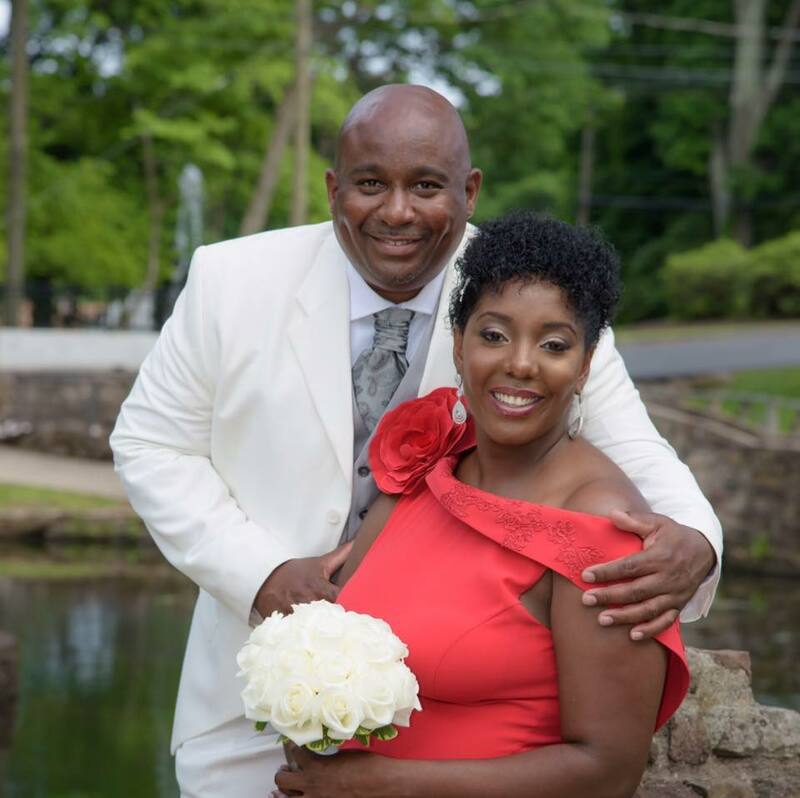 Oftentimes with larger companies, you may meet with one photographer, love his or her work, then be assigned another photographer on your wedding day. Make sure that it is clearly stated in your contract who will be shooting your wedding to avoid disappointment or even worse, lawsuits. – Will you have an assistant or a second shooter? 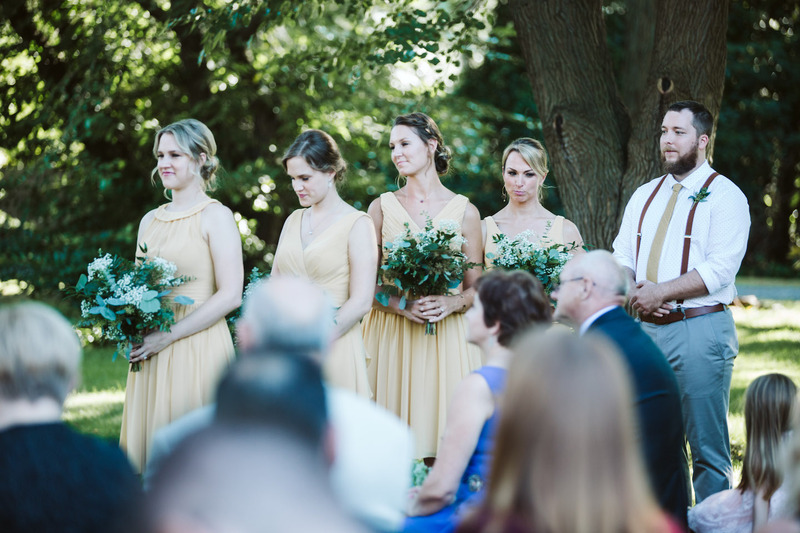 Depending on your venue and what you want captured, some photographers offer a second shooter or assistant photographer for an additional cost. Be clear about what you want so they can plan accordingly, and then make sure what you discussed is in the contract. – Do you have a backup in case of illness, injury, etc.? 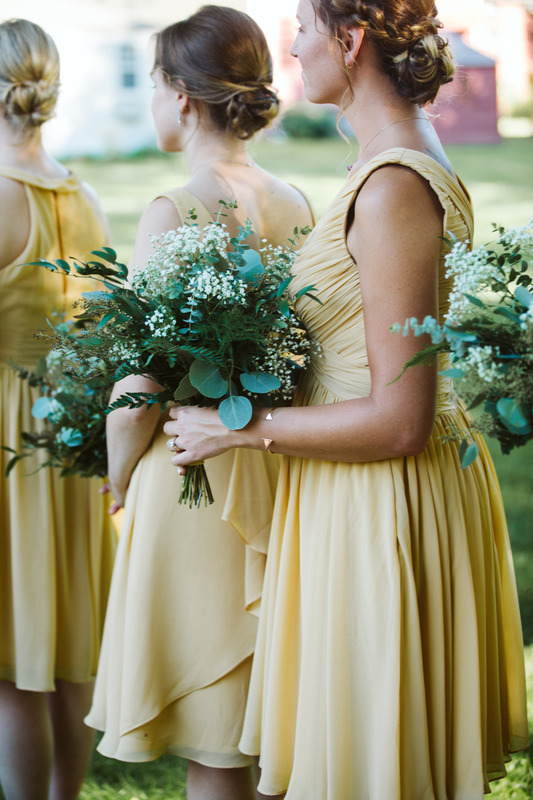 Every professional in the wedding industry should have a backup plan, weather it be a close connection with other professionals or someone within their company. Don’t be afraid to ask this question. It’s important, and things happen. Lastly, I will leave you with this. 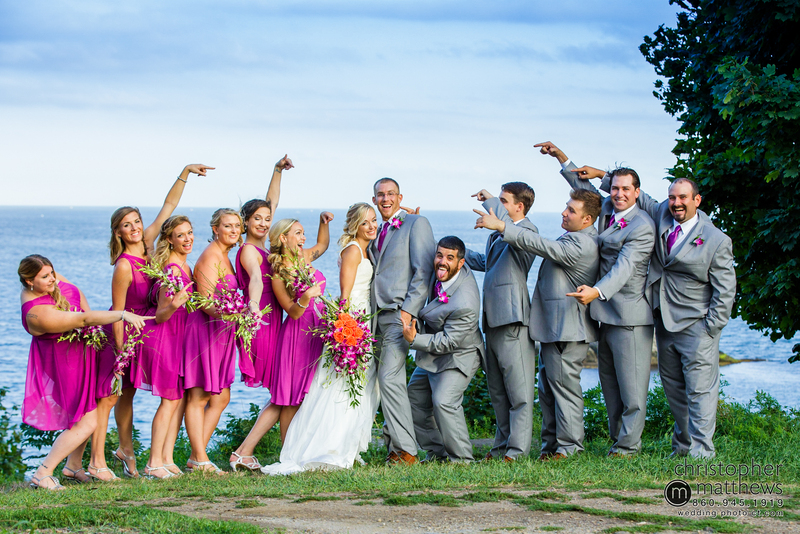 Make sure your wedding photographer is someone you can have fun with! This person is going to be with you for the majority of the biggest day of your life. If you can’t stand this person, you are not going to be happy. We had a great 2016! 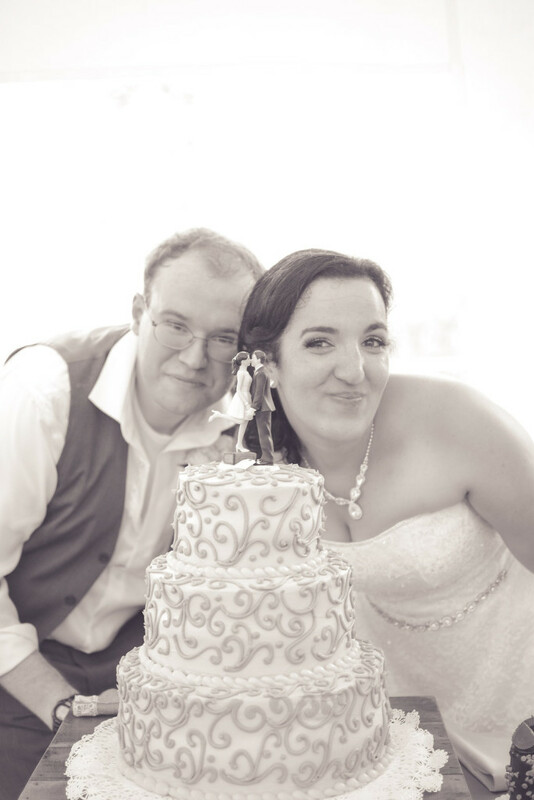 So many happy occasions – weddings, birthdays, anniversaries, and so much more. 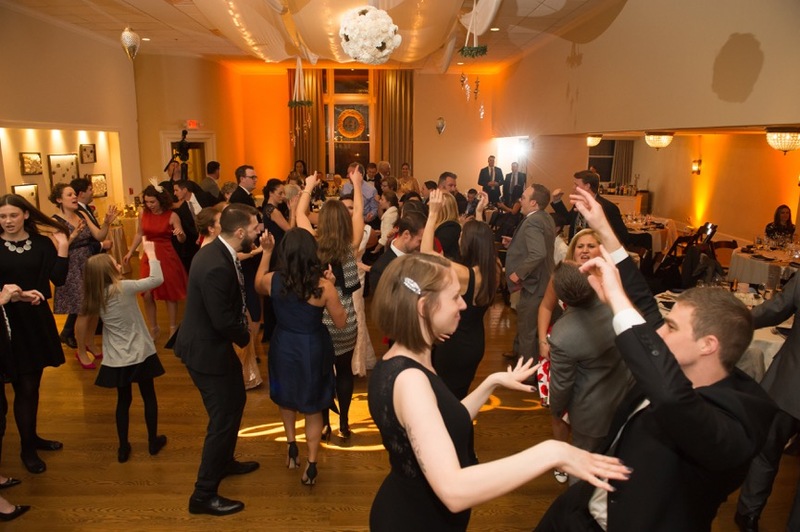 Here is a quick photo review of our fantastic year and some of our favorite events. Thank you all for letting Spice Catering be a part of your special events. We loved working with all of you! Can’t wait for all of the events we have coming up in 2017! 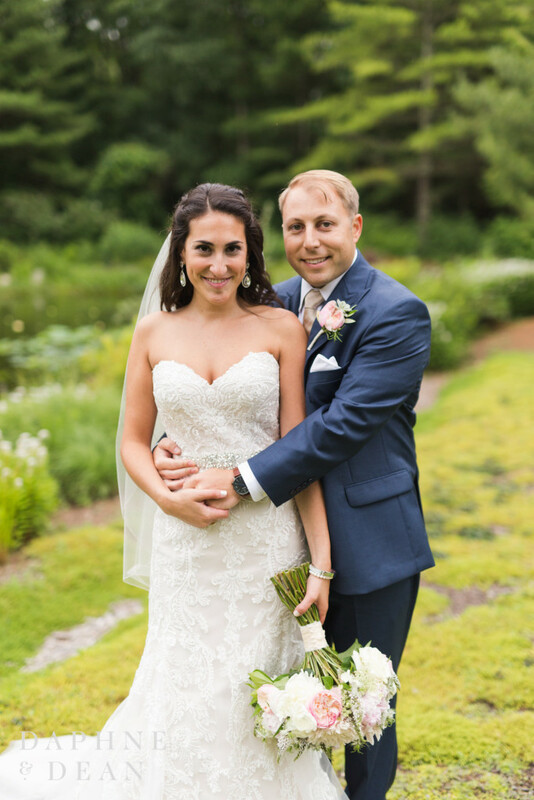 Lauren & Jason’s wedding took place this past August. It was another hot one, but it was a beautiful day. 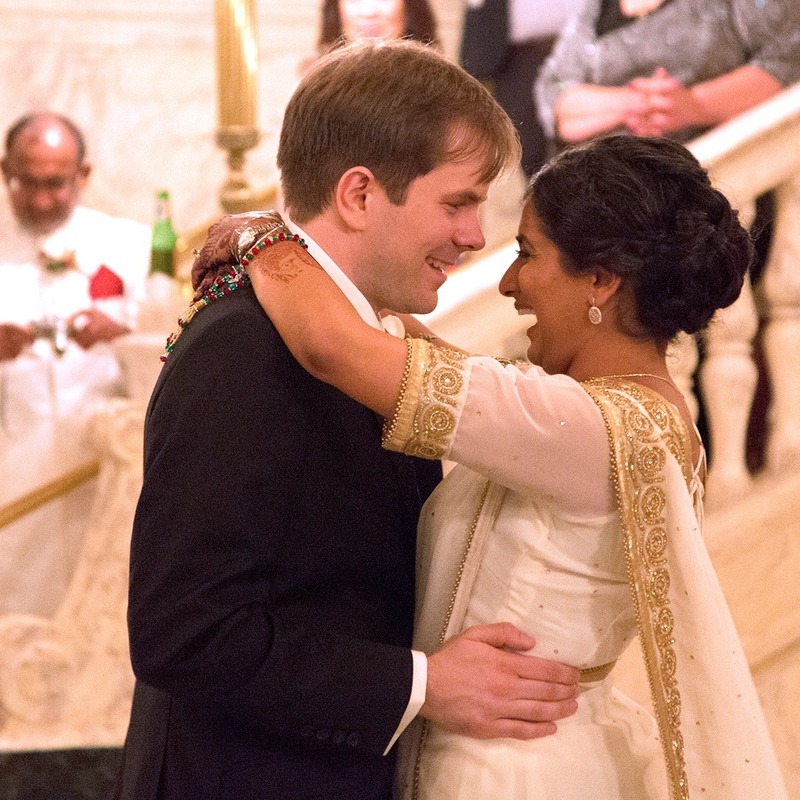 This wedding was particularly special because the groom is Dan’s nephew and the bride has worked events for Spice on many occasions. 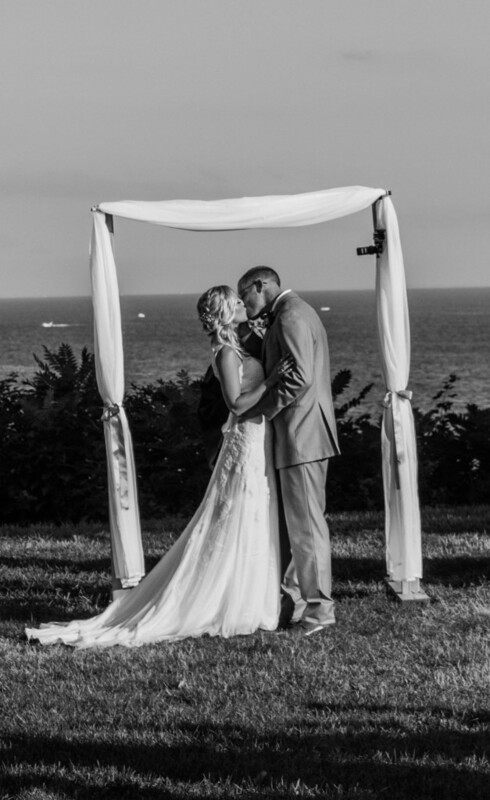 We wanted their day to be just perfect. 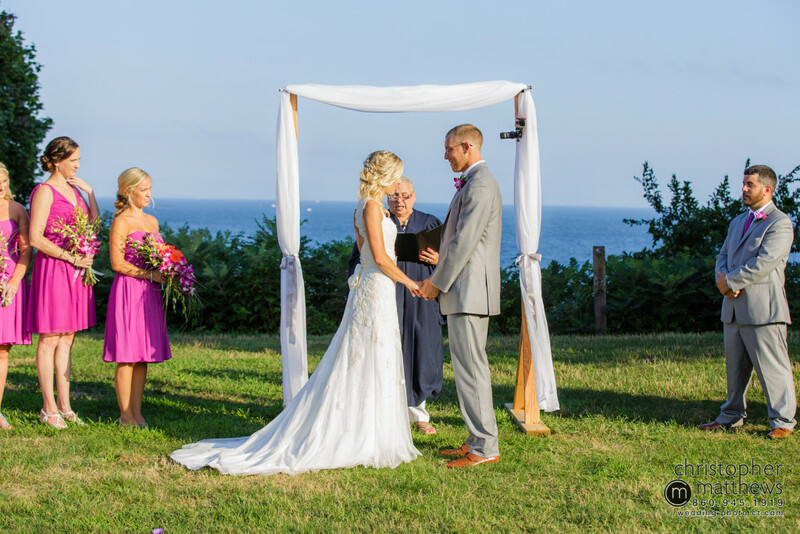 The ceremony took place at McCook’s Beach in Niantic, CT. The reception following was in Lauren’s parents’ beautiful back yard in East Lyme, CT. This is a sneak peak of their cocktail hour. 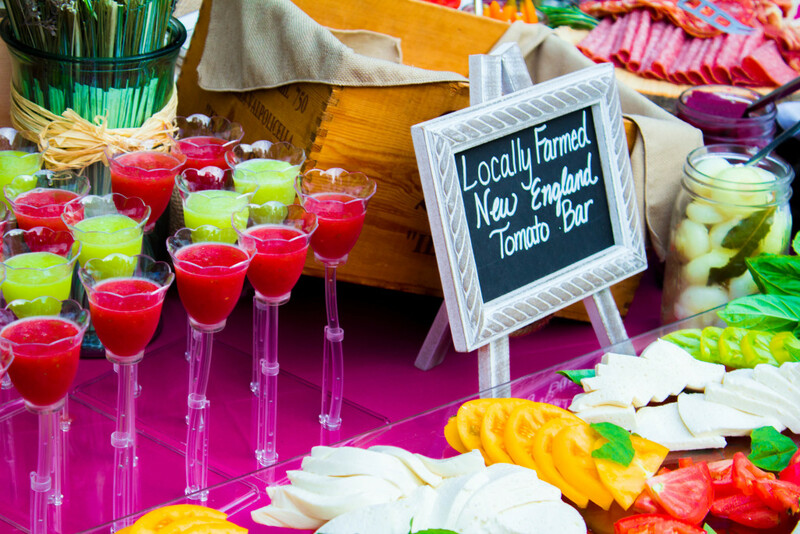 We set up a locally farmed New England Tomato Bar including a variety of seasonal tomatoes, mozzarella cheese, burrata, flavored olive oils and vinegars, flavored sea salts, and fresh basil. Also, a selection of charcuterie, assorted Italian meats, house pickled vegetables, focaccia, assorted breads and crackers. Dinner consisted of Jason’s linguini with clam and shrimp sauce, mixed green salad with sliced strawberries, English cucumbers, garlic croutons, raspberry vinaigrette, Tuscan chicken with mushrooms, artichoke hearts, white wine, fresh herbs, warm rice pilaf, boneless NY strip carving station with horseradish mayo, and herb marinated grilled vegetables with a Balsamic Glaze. Lauren was starting to feel overwhelmed with the logistics of the day. 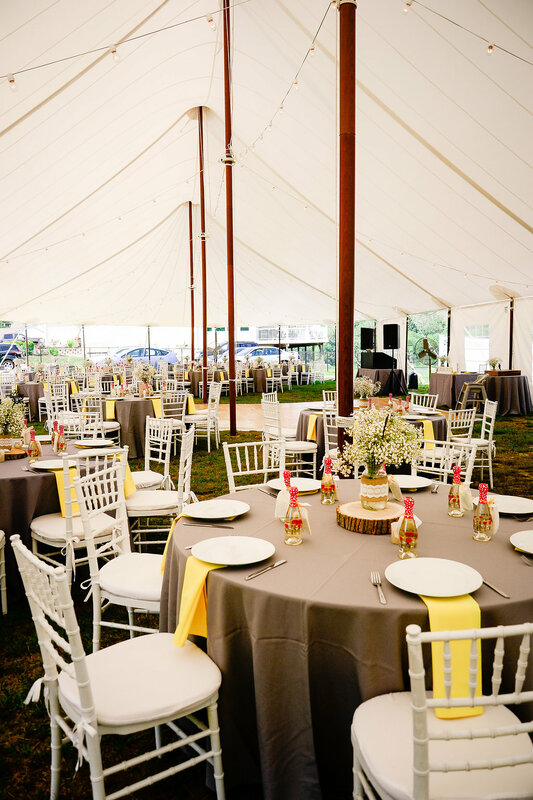 Who would decorate the tent and tables? Who would pick up the cupcakes she ordered? 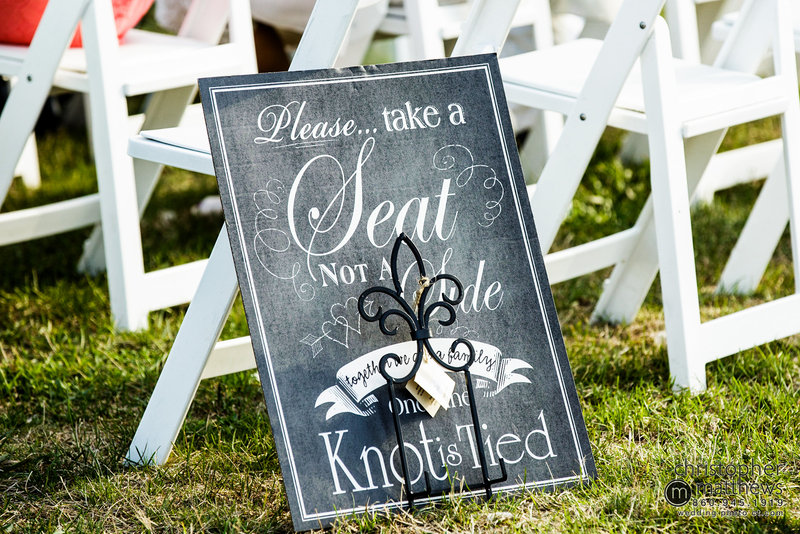 Who would set up the chairs at the ceremony site? So she hired Carisa as a day-of wedding coordinator. 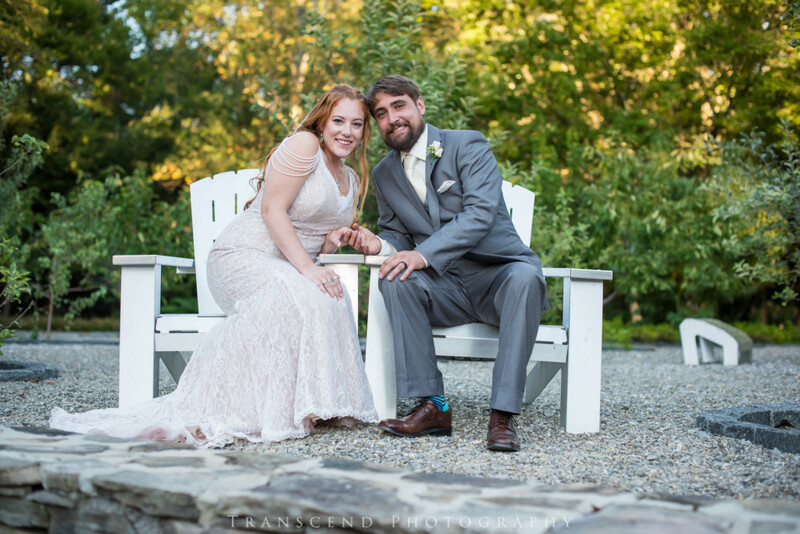 Carisa and her assistant came to the reception site first to set up all of the decorations that Lauren had gotten. 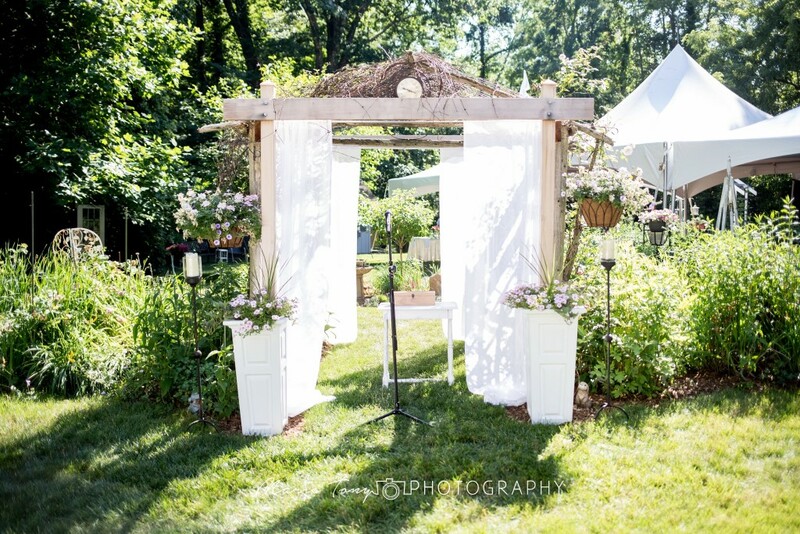 The tent and table setups looked beautiful! After the reception was all set up (the part that took the longest), Carisa and her assistant headed to McCook’s Beach for the ceremony setup and to get ready for the ceremony! What a gorgeous day this was! Congrats again to the happy couple! 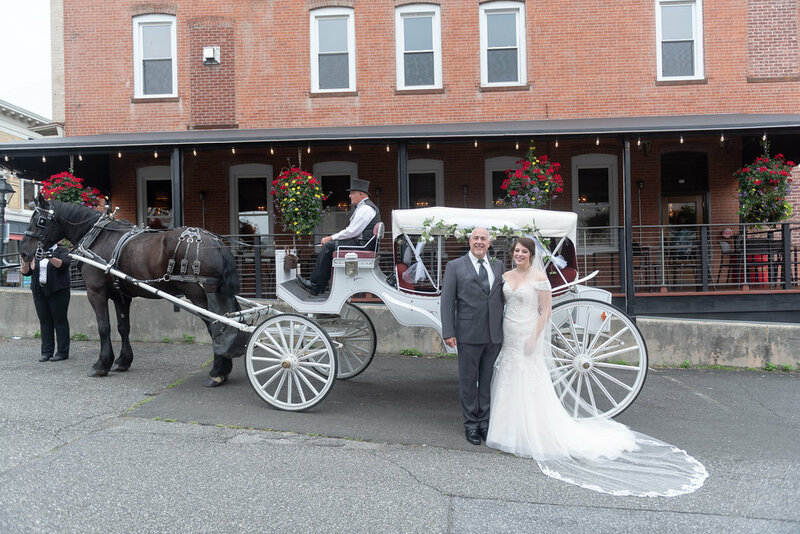 Thank you for choosing us to be a party of your special day! Engagement season is upon us. We all know someone who has gotten or will become engaged this holiday season. We want to help them plan the perfect wedding. Step 1: Refer them to Spice Catering. Step 2: They book us for their wedding catering. Step 3: You get a $100 Amazon gift card emailed to you! Just make sure you tell us you sent them our way! Minimum of 100 guests. Deposit and contract must be received prior to sending out gift card.